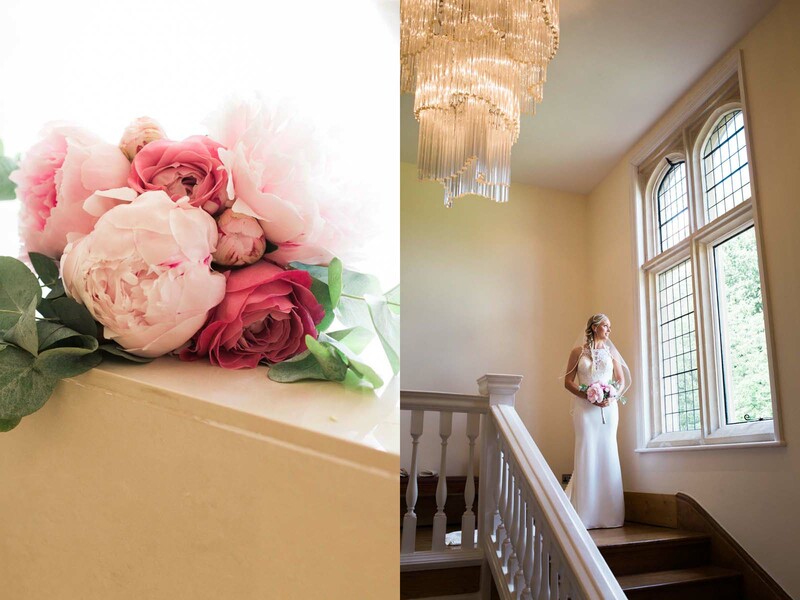 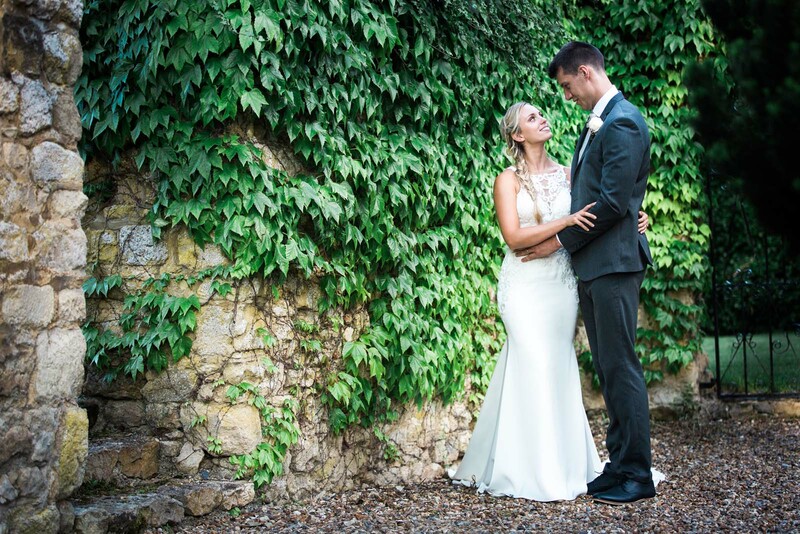 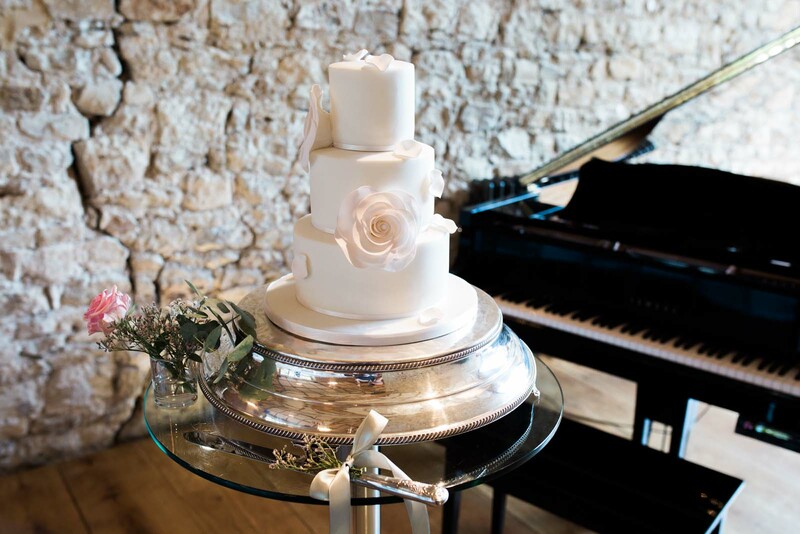 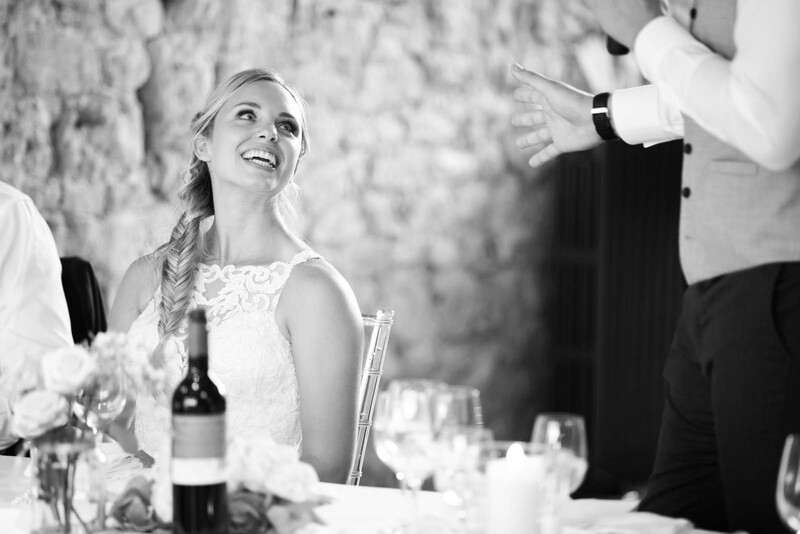 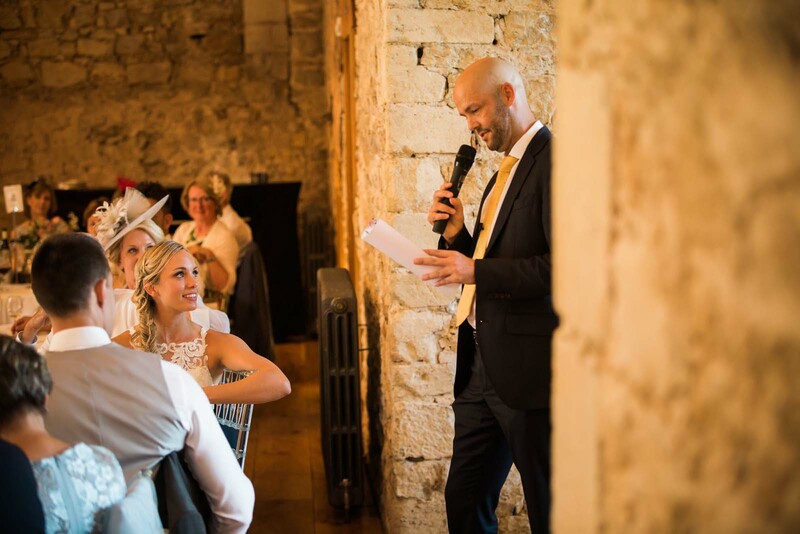 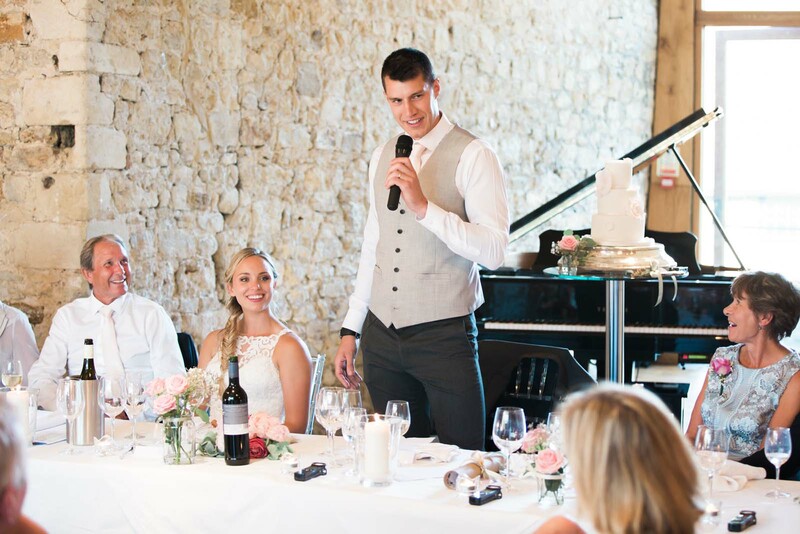 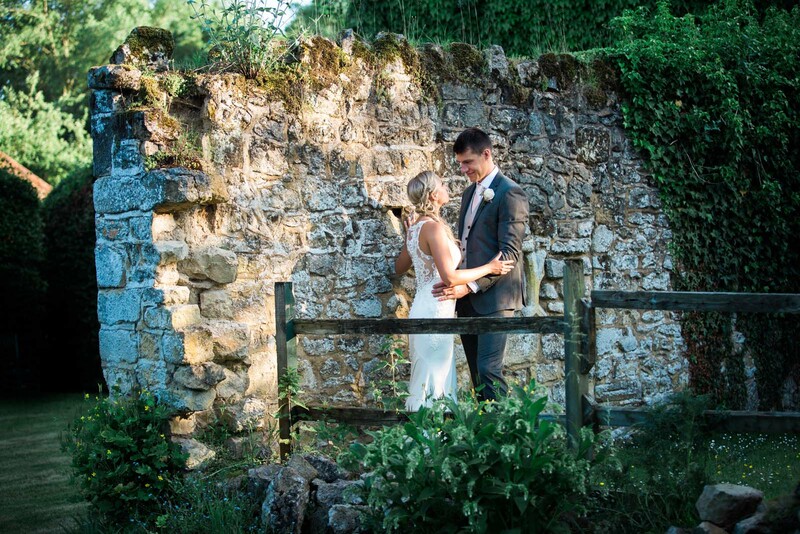 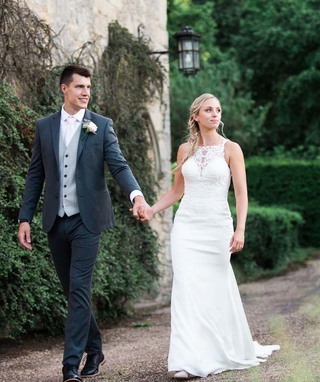 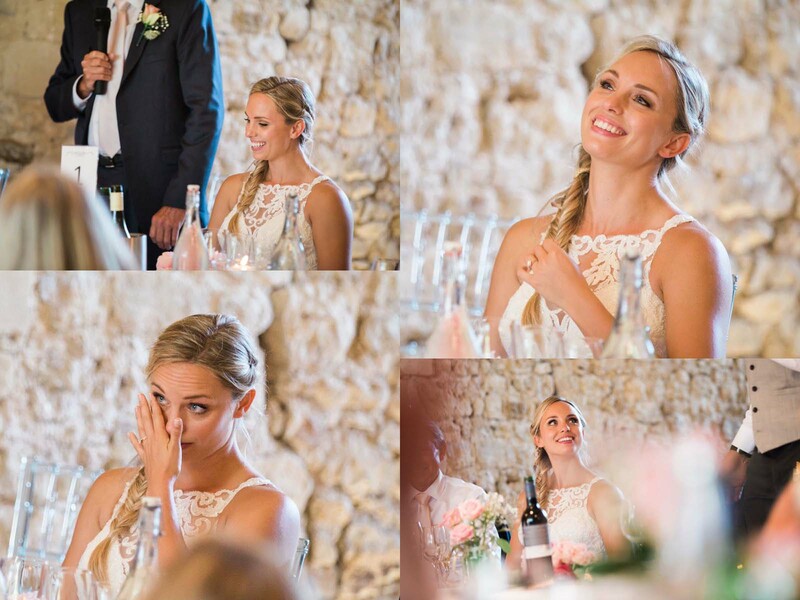 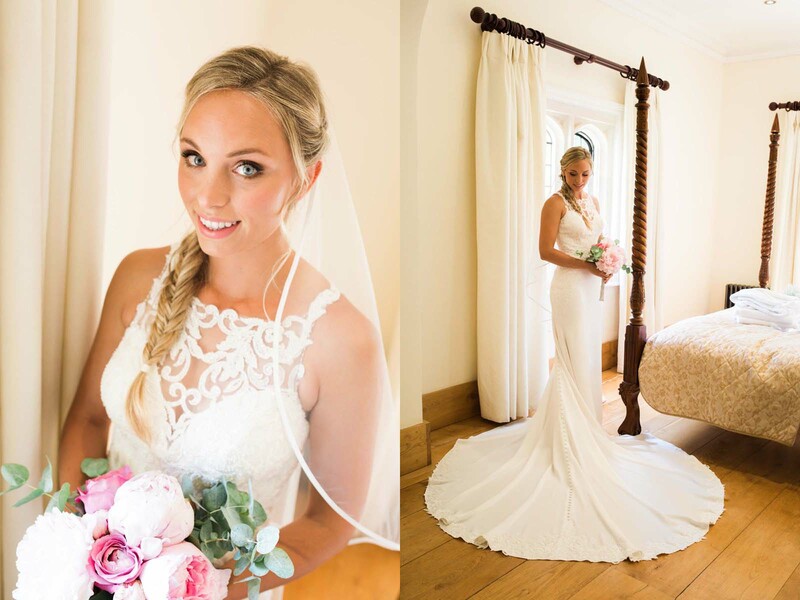 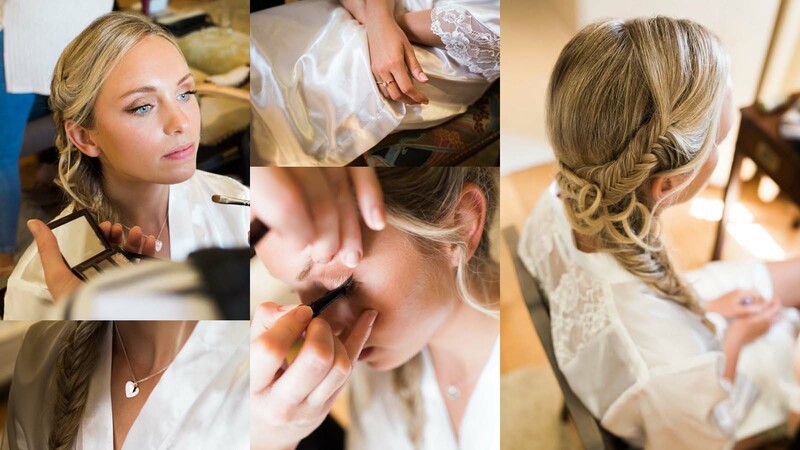 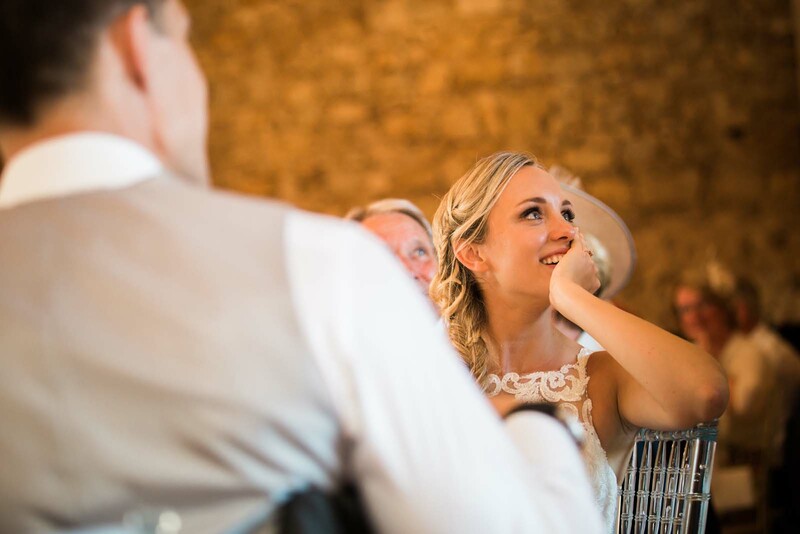 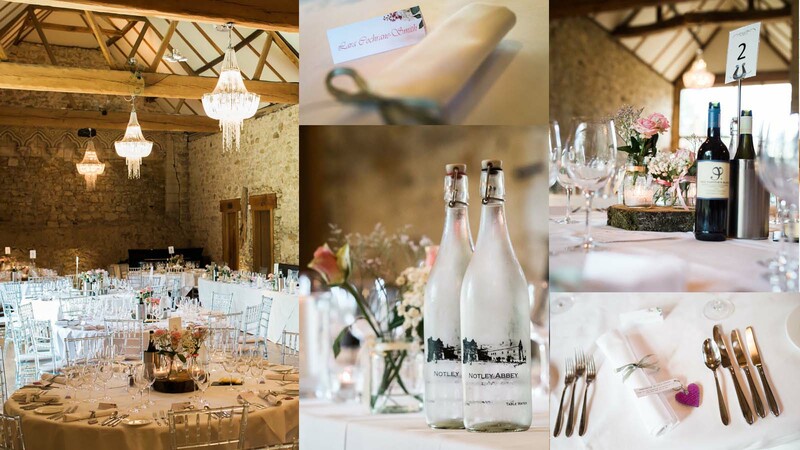 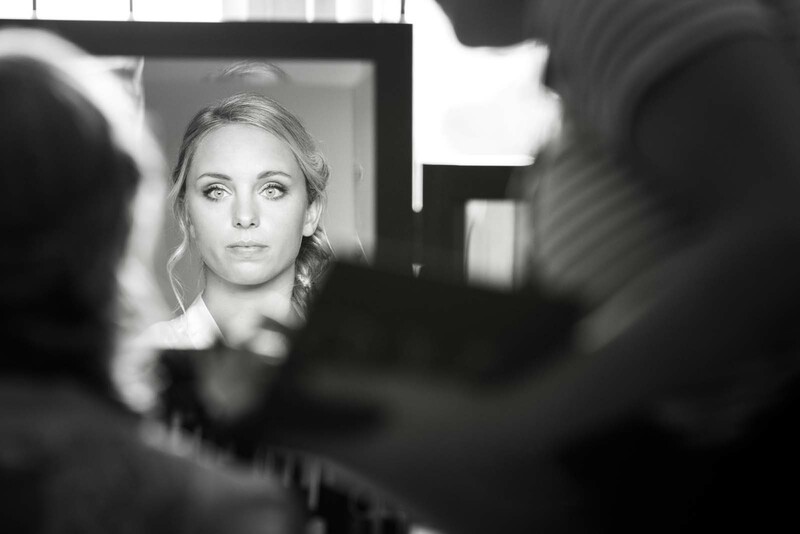 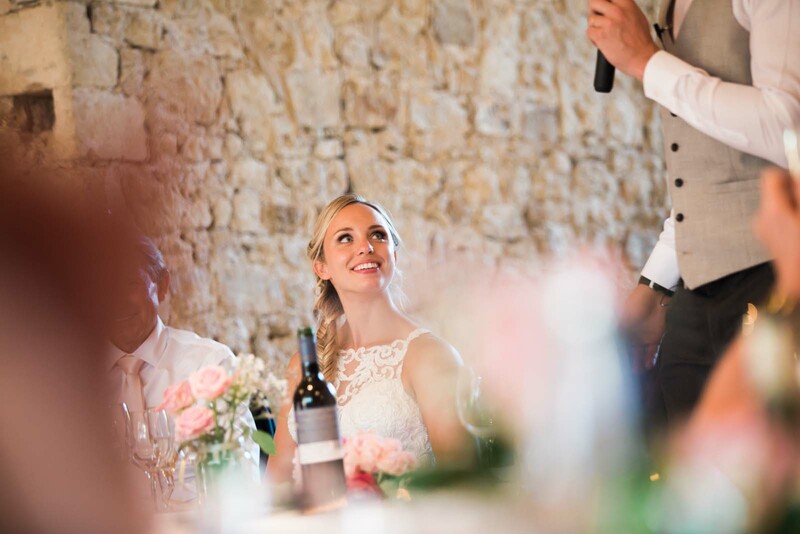 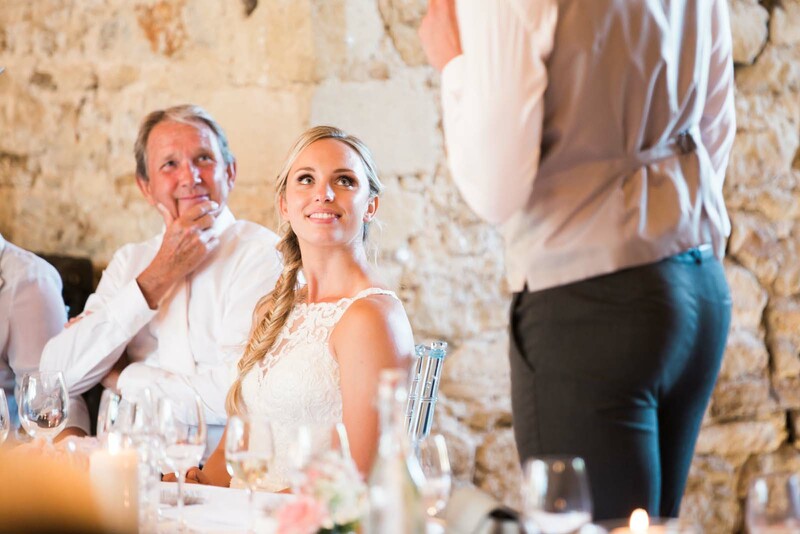 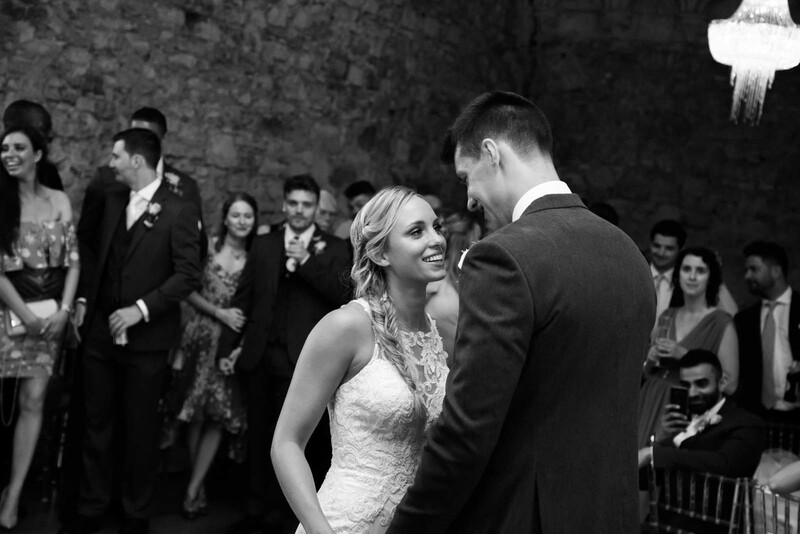 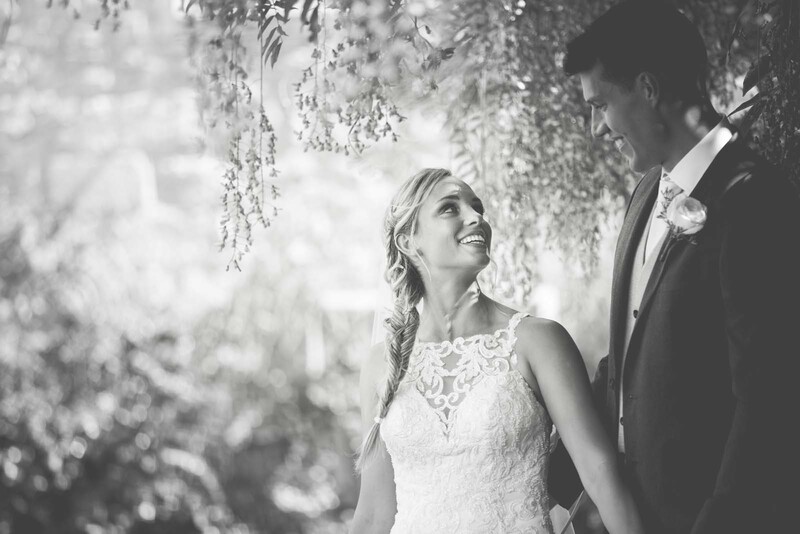 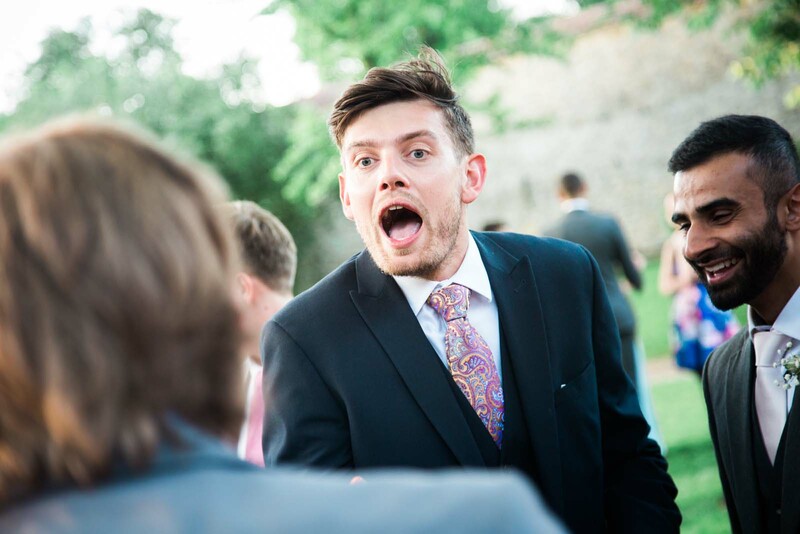 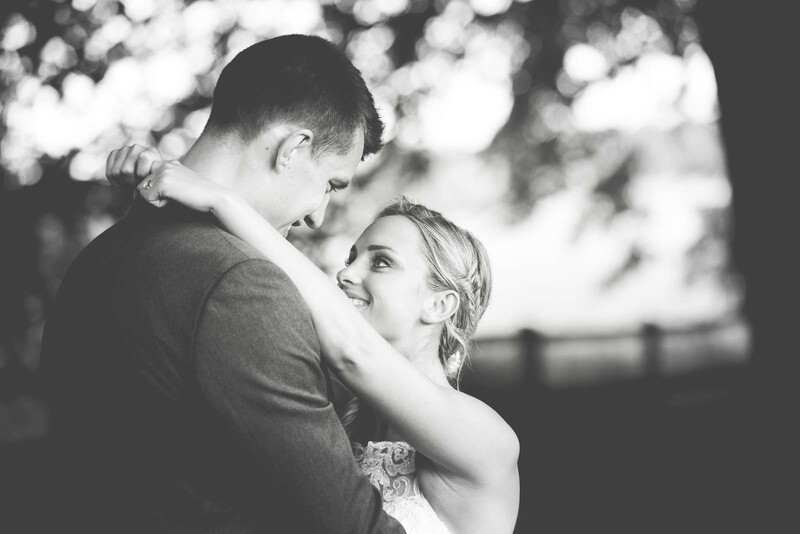 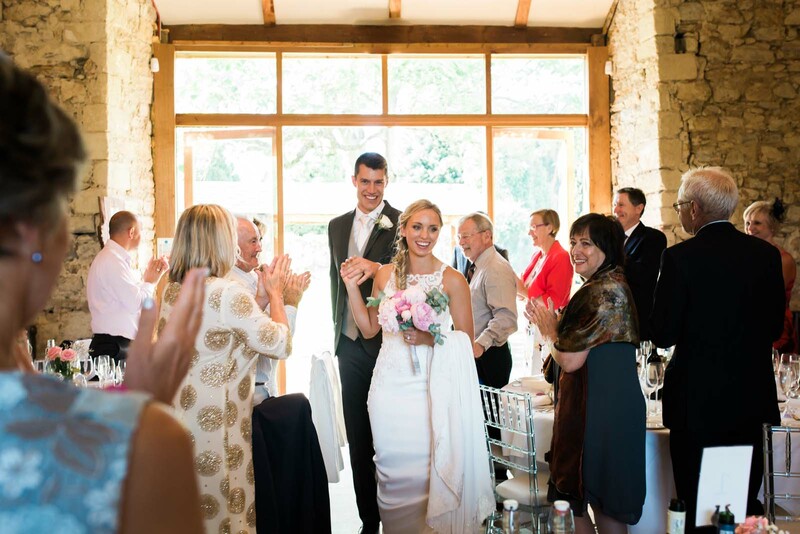 Lara and Jeff got married at the stunning Bijou wedding venue Notley Abbey. 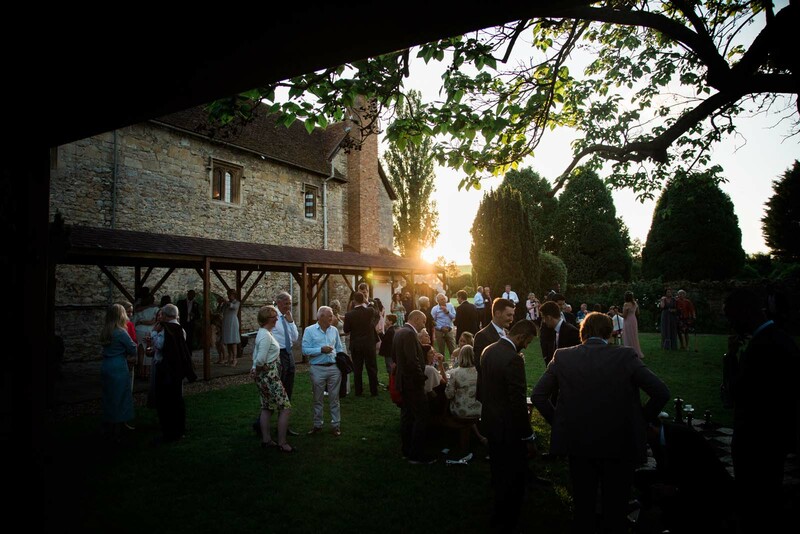 Founded in the 12th Century and set in beautiful Buckinghamshire countryside near Thame, the historic country house is a listed building and registered as a national monument. 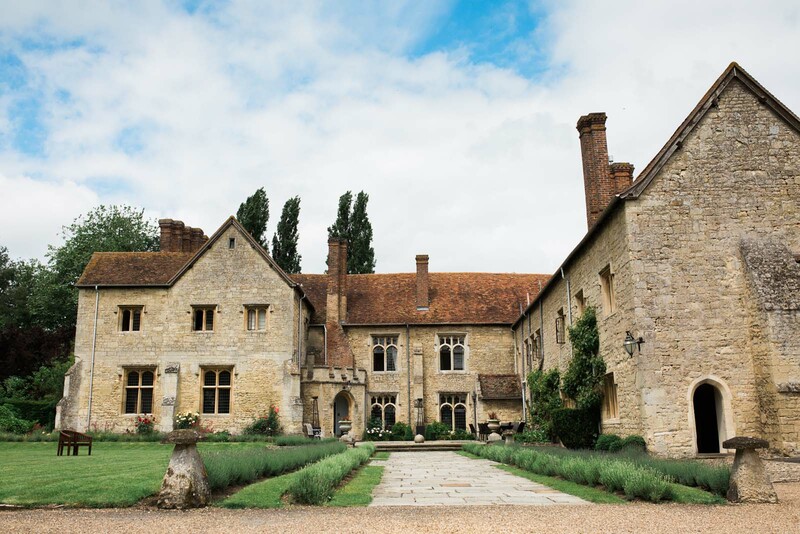 The Abbey, which was visited by both King Henry IV and King Henry V, was later owned by celebrities Laurence Olivier and Vivien Leigh. 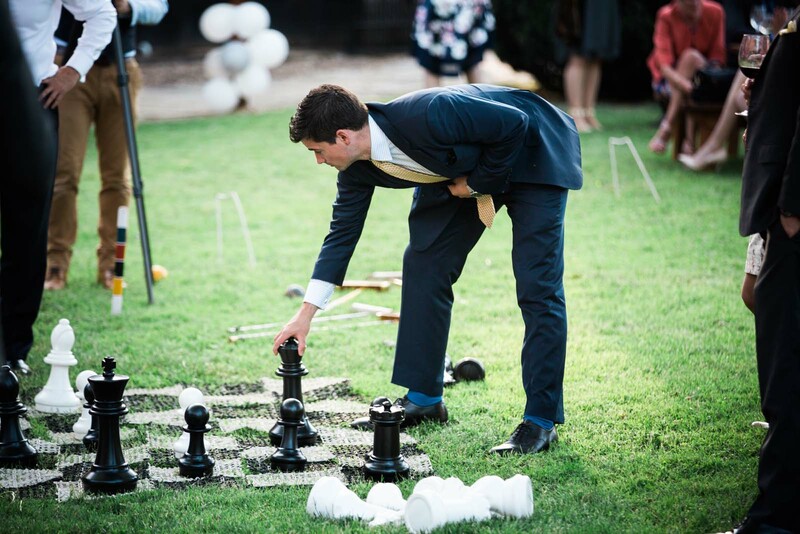 Their lavish parties are well documented and were attended by Hollywood royalty including Marilyn Monroe. 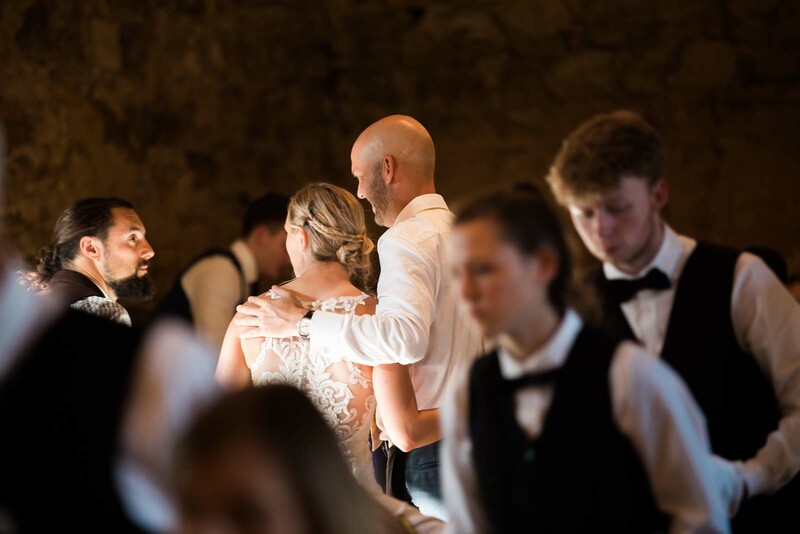 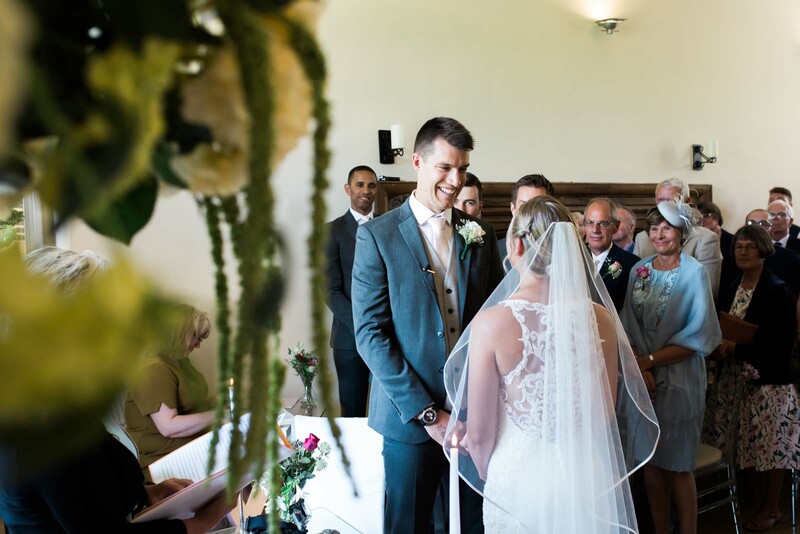 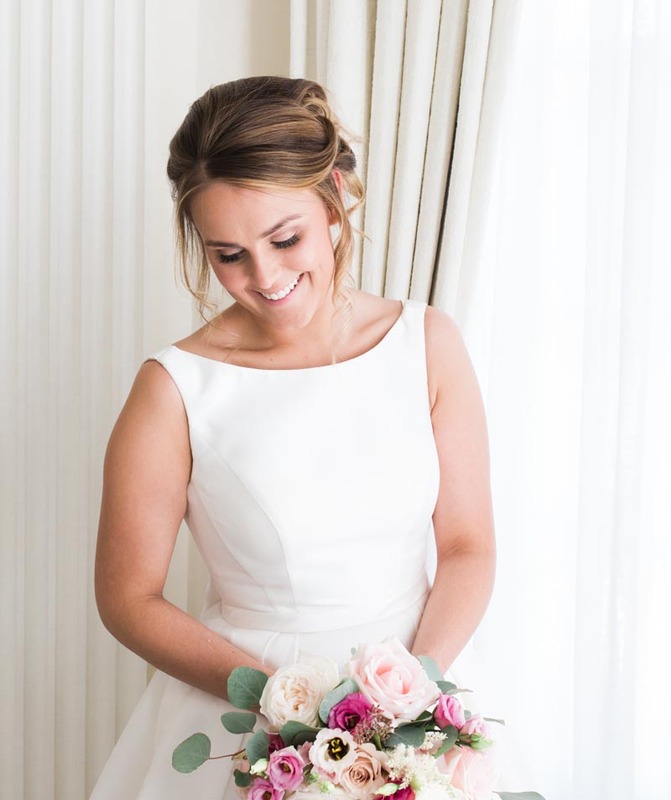 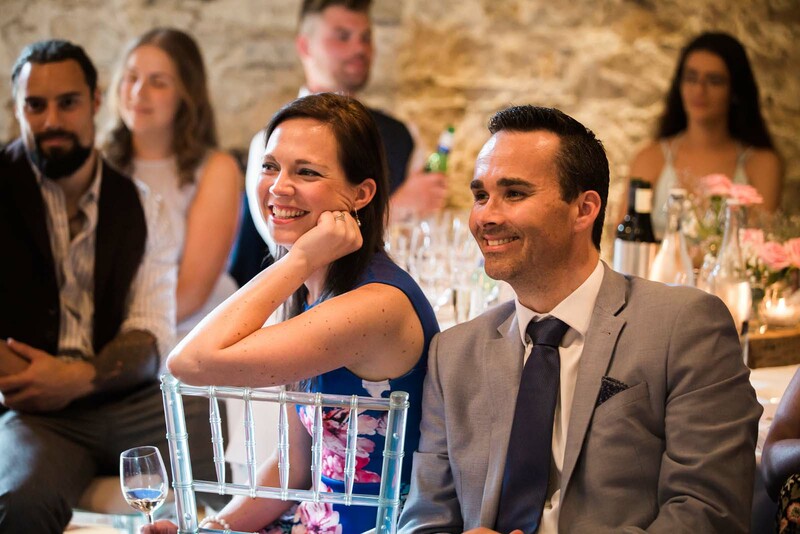 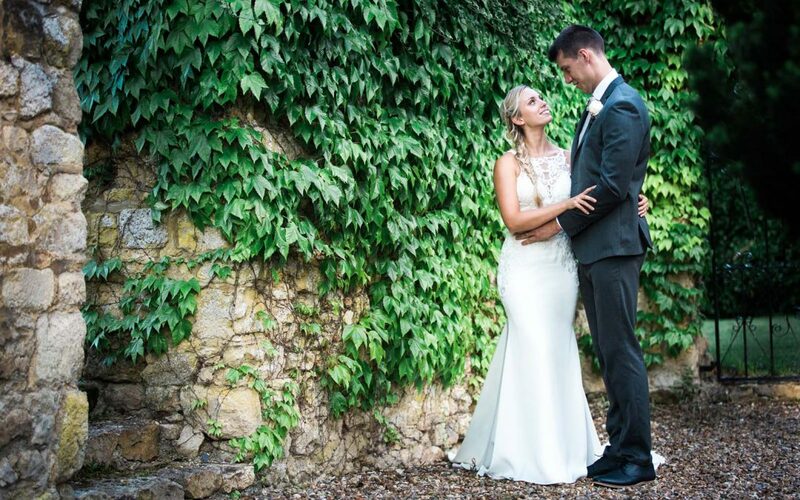 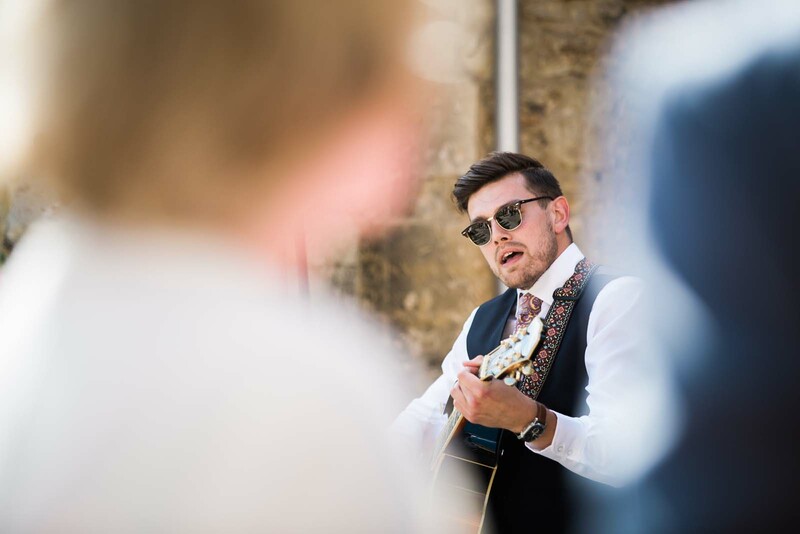 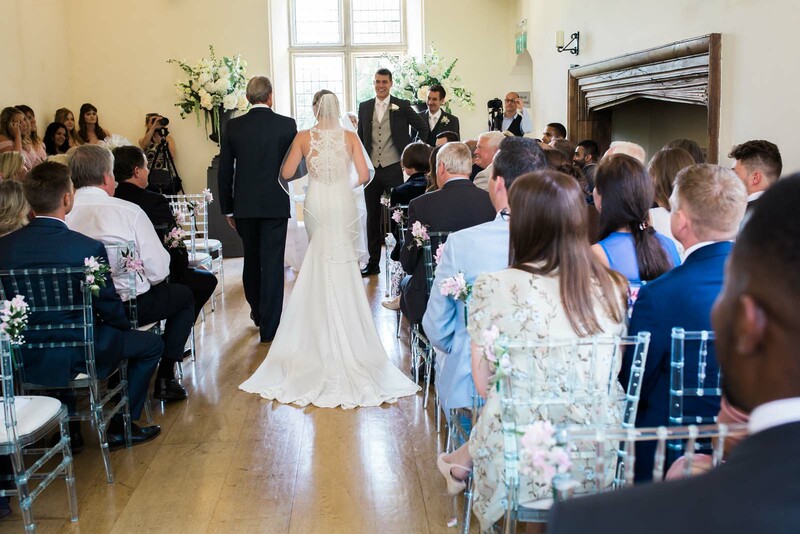 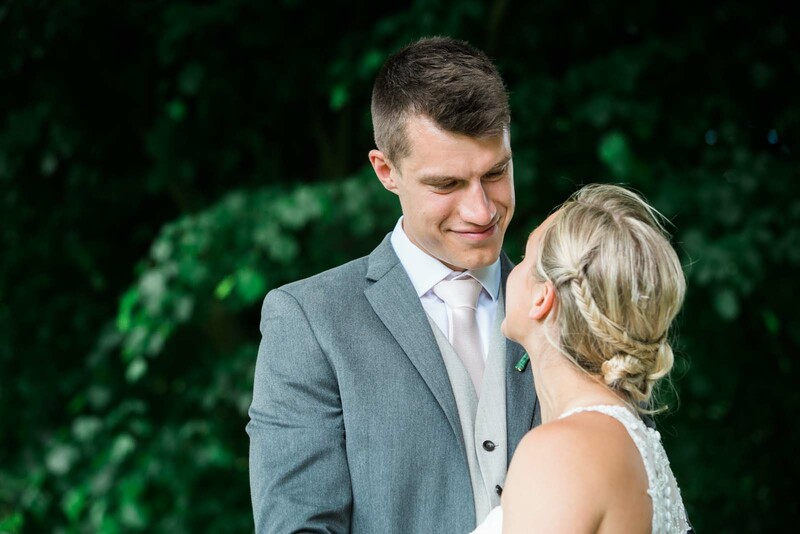 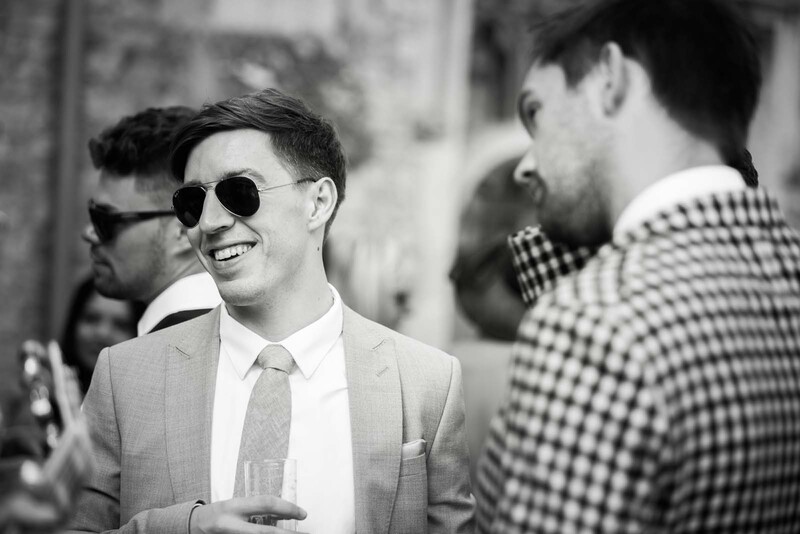 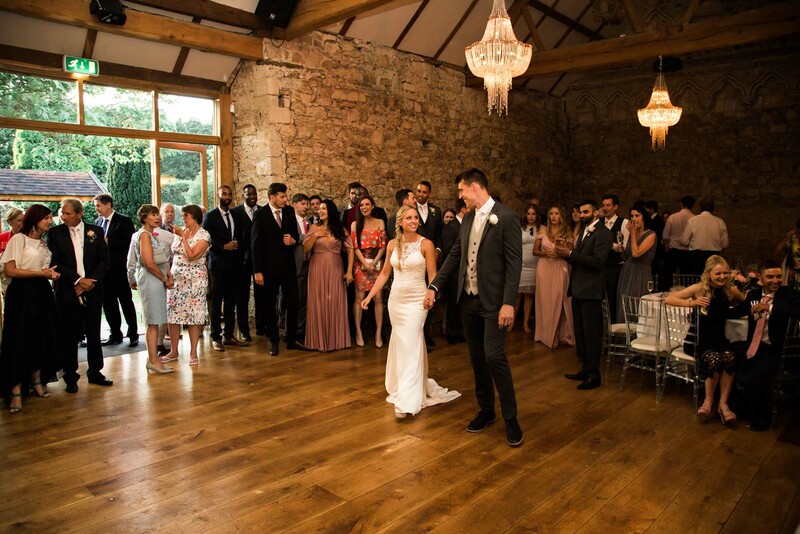 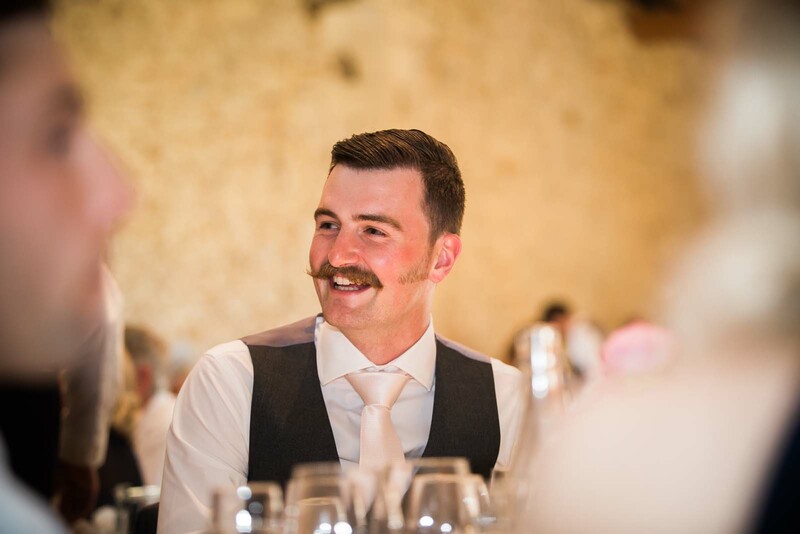 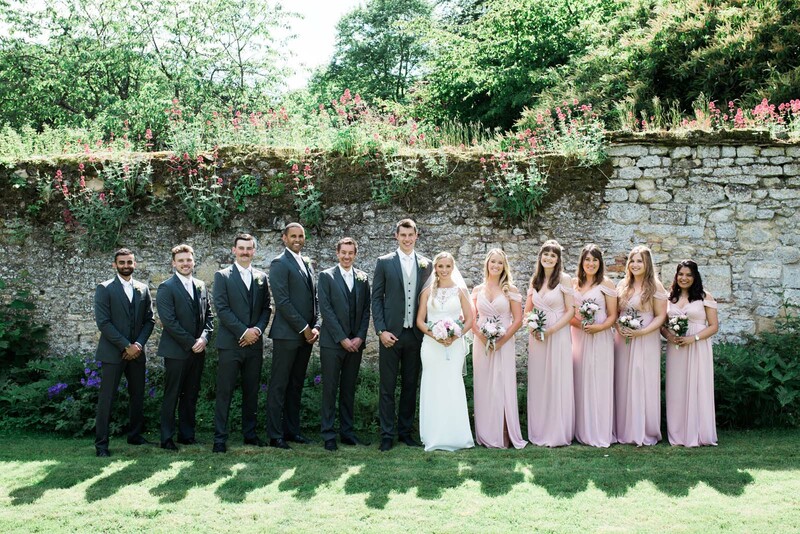 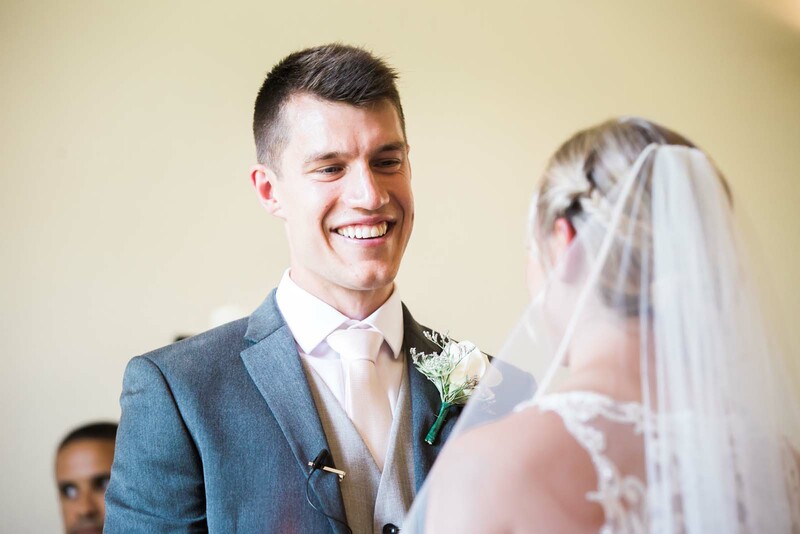 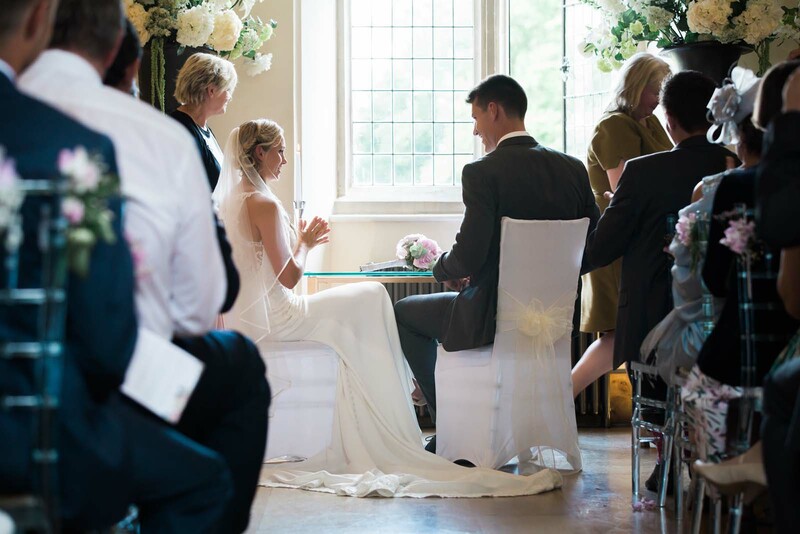 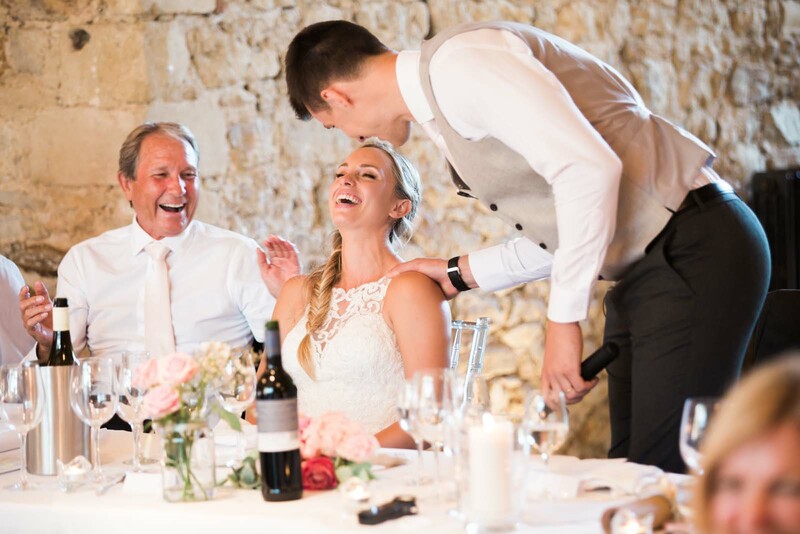 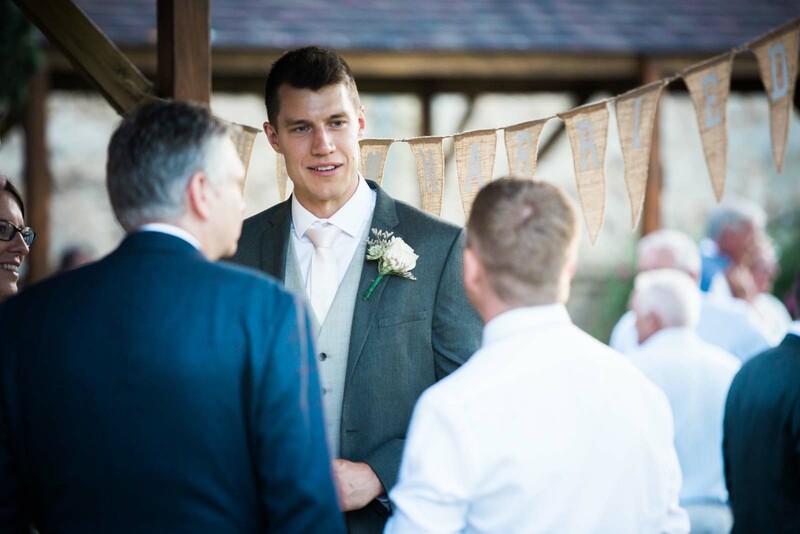 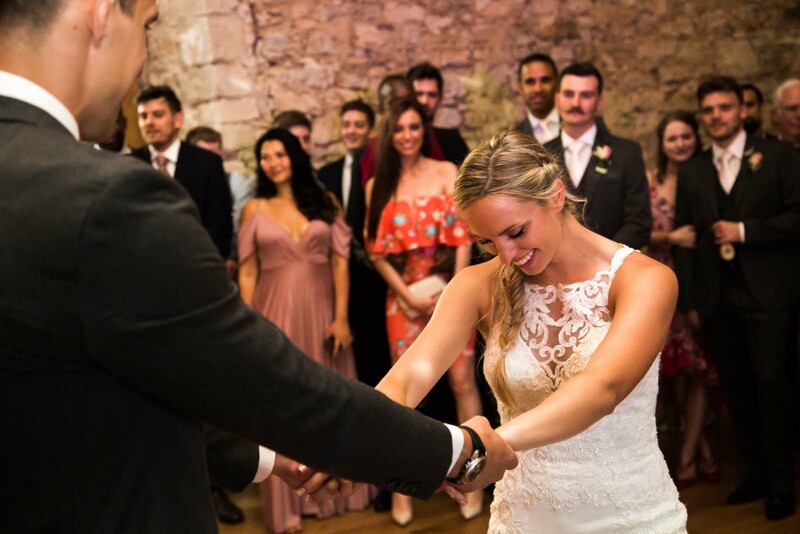 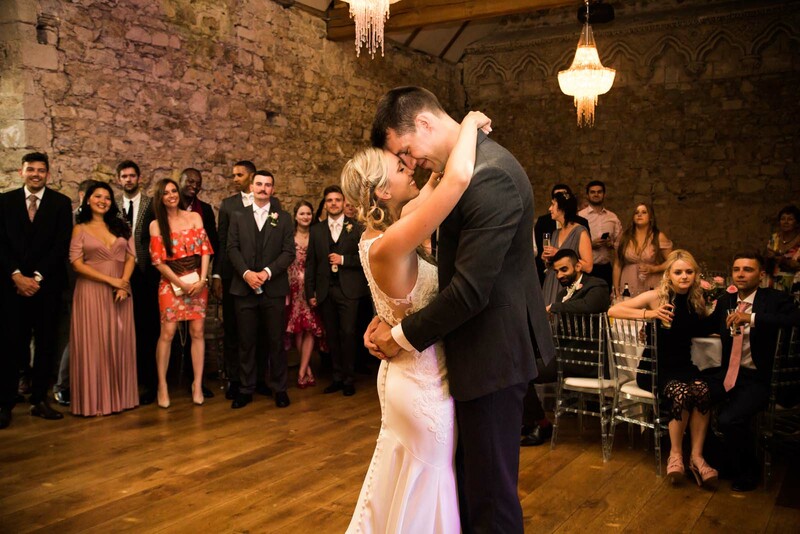 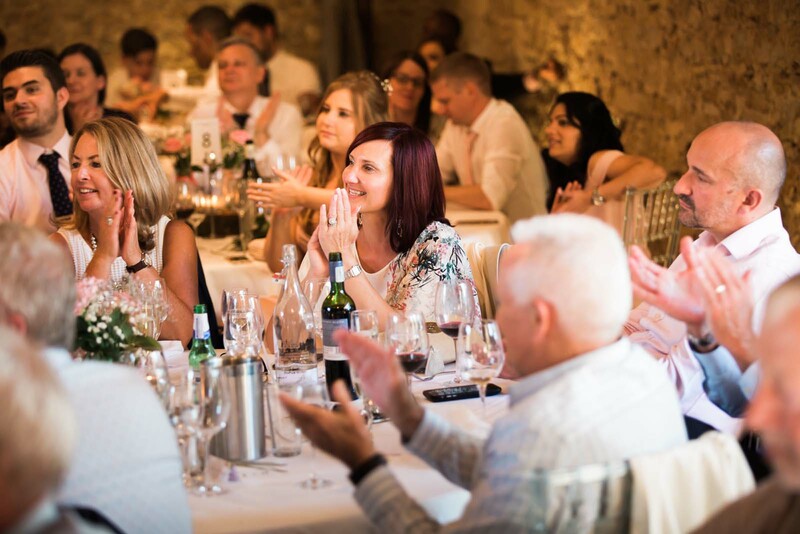 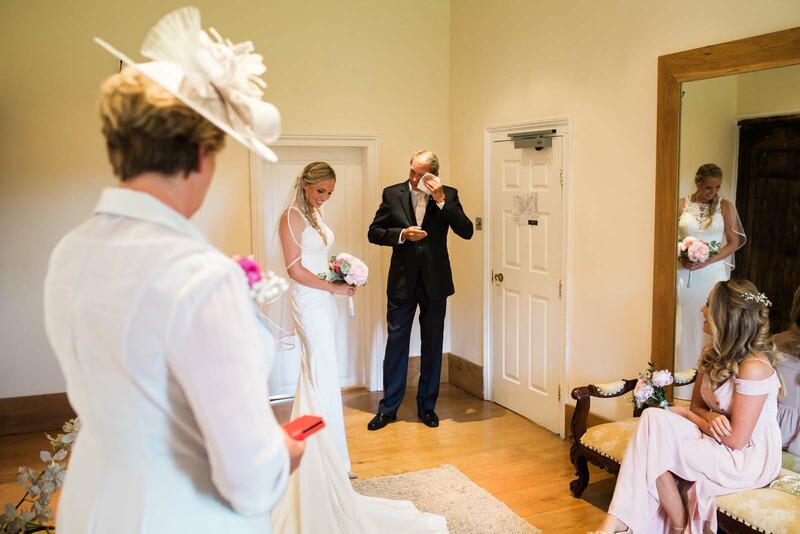 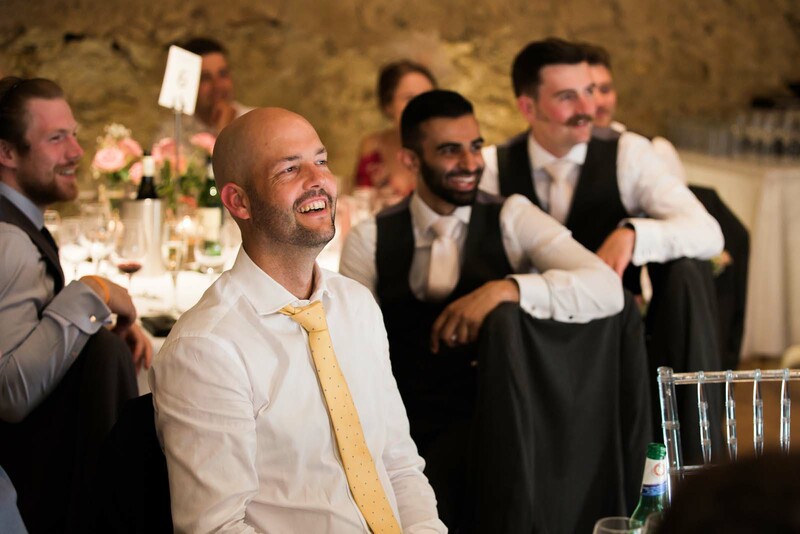 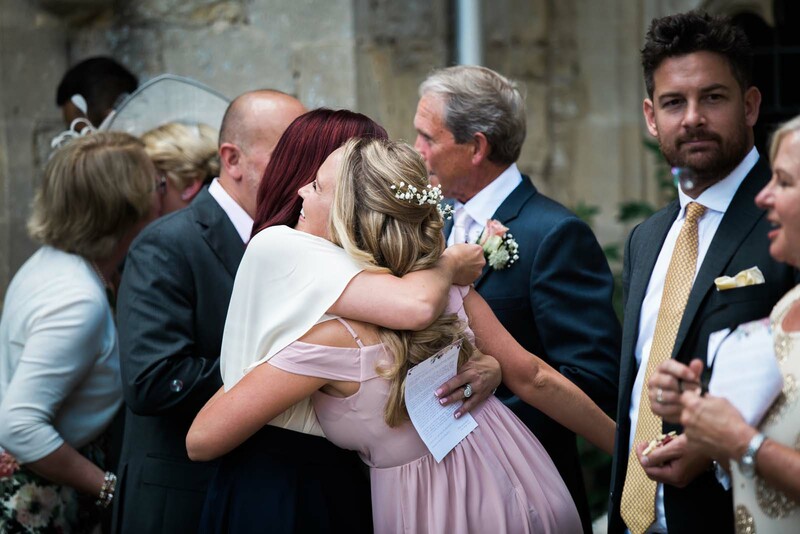 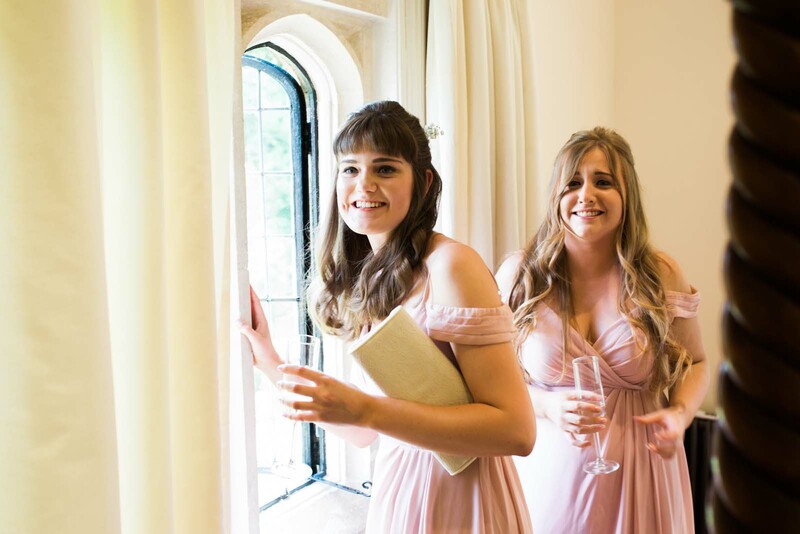 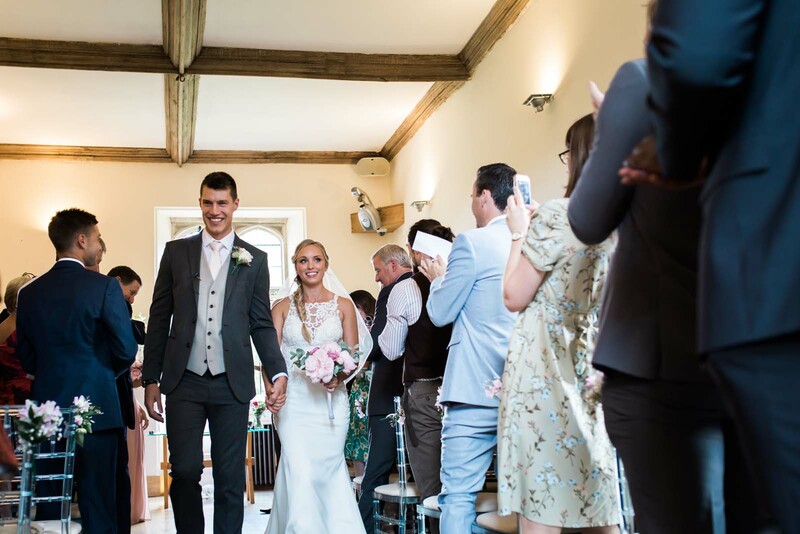 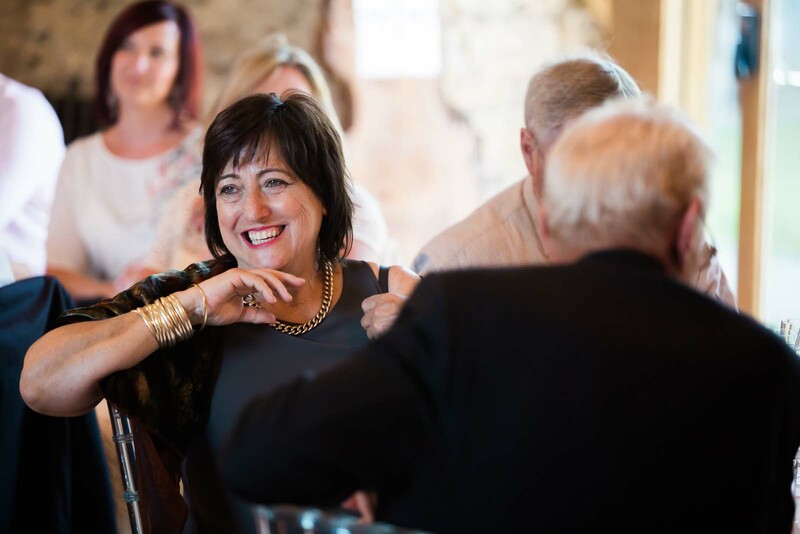 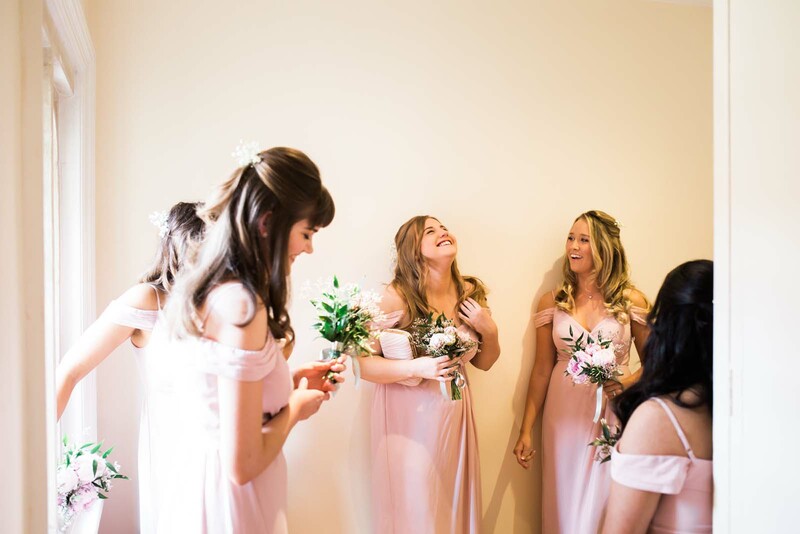 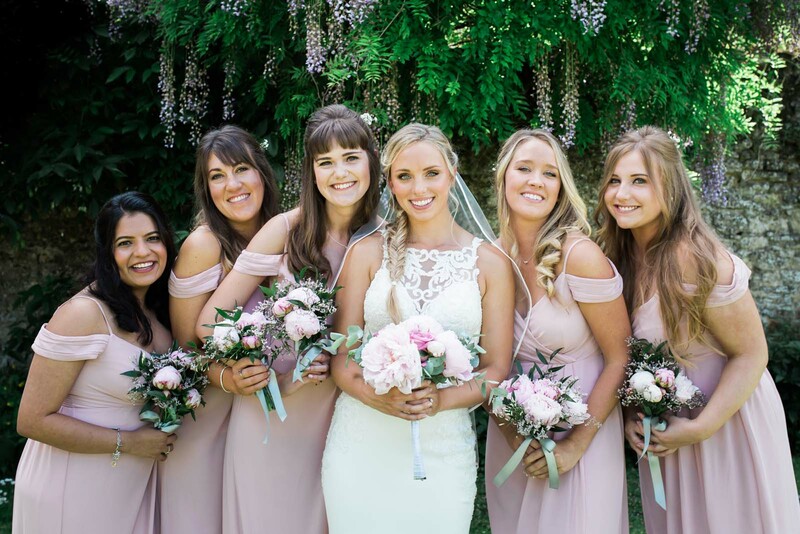 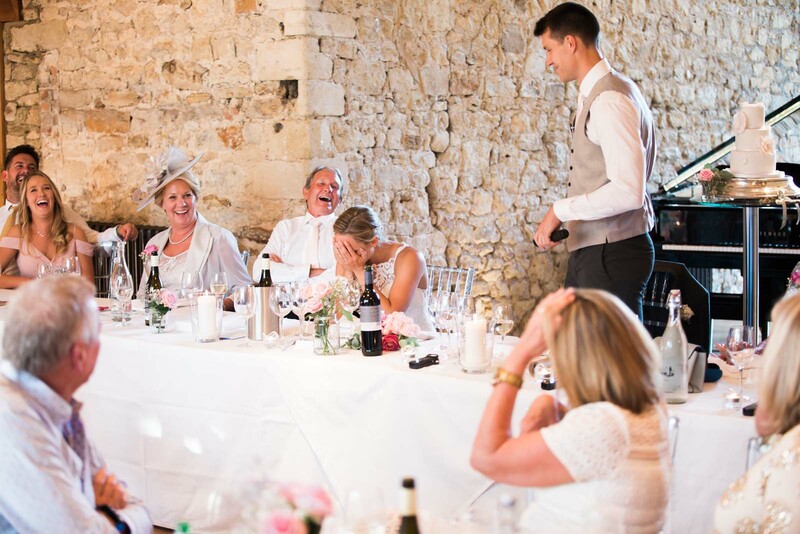 The ceremony took place in Abbots Hall followed by a drinks reception on the front terrace, group photos in the walled garden and a three course sit down wedding breakfast in the Monk’s refectory. 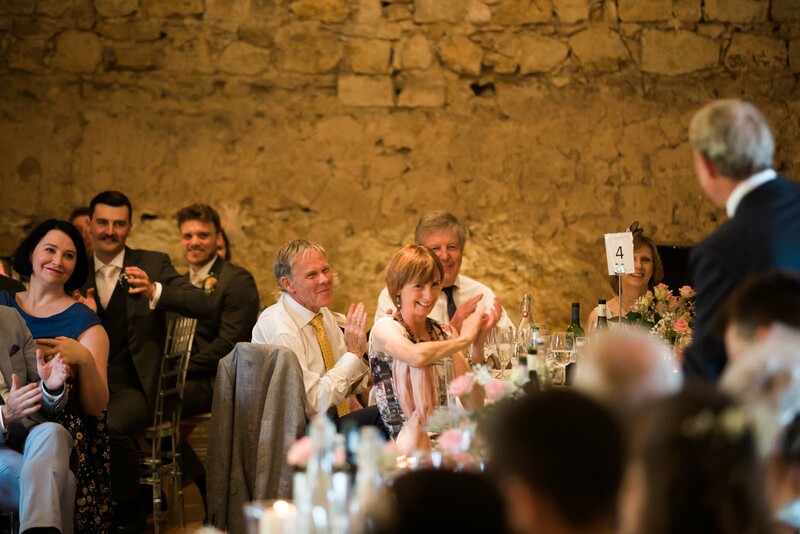 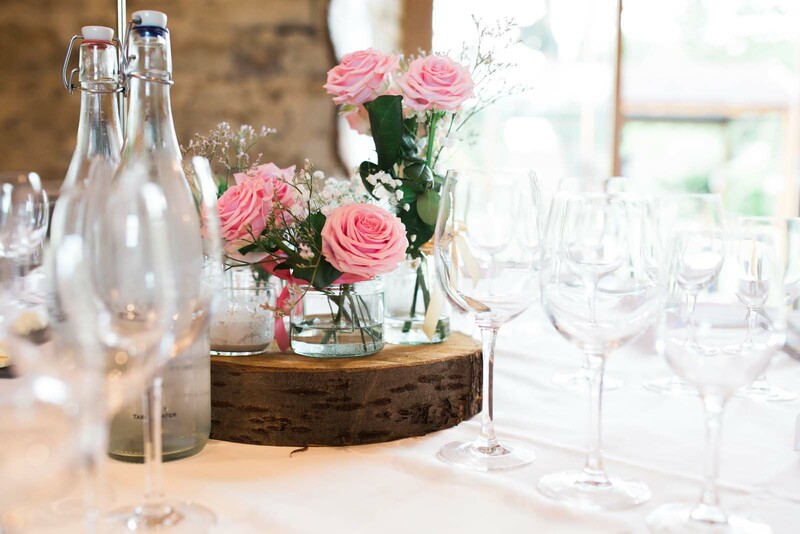 The couple chose rustic table centres with wooden stomps and pink roses, white linen and elegant banquet chairs to compliment the character and style of the historic hall – previously used as the main dining room for the Monks when the building was operated as an Abbey. 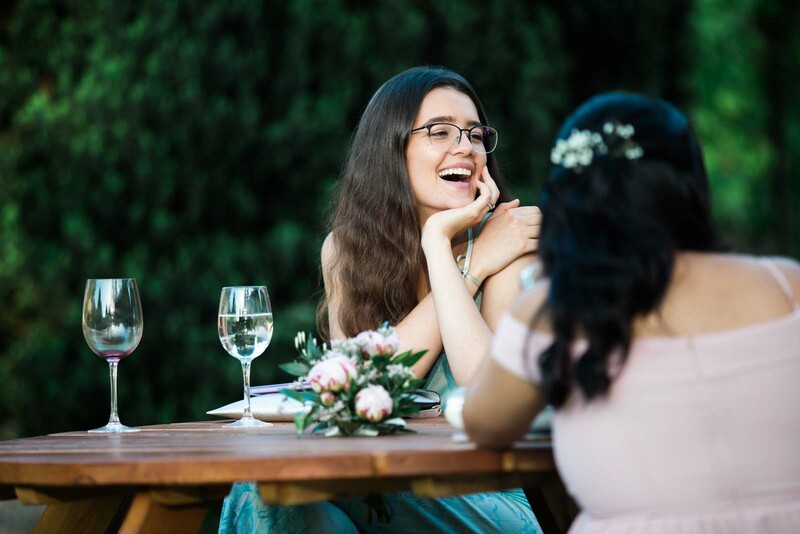 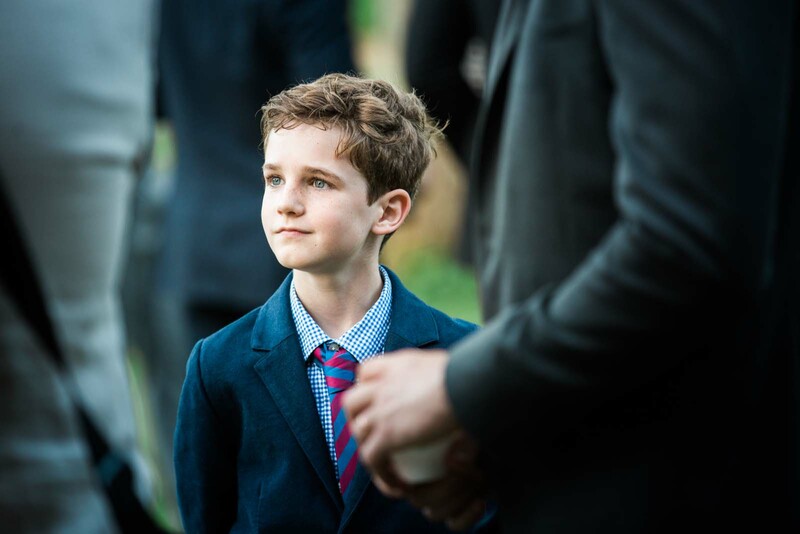 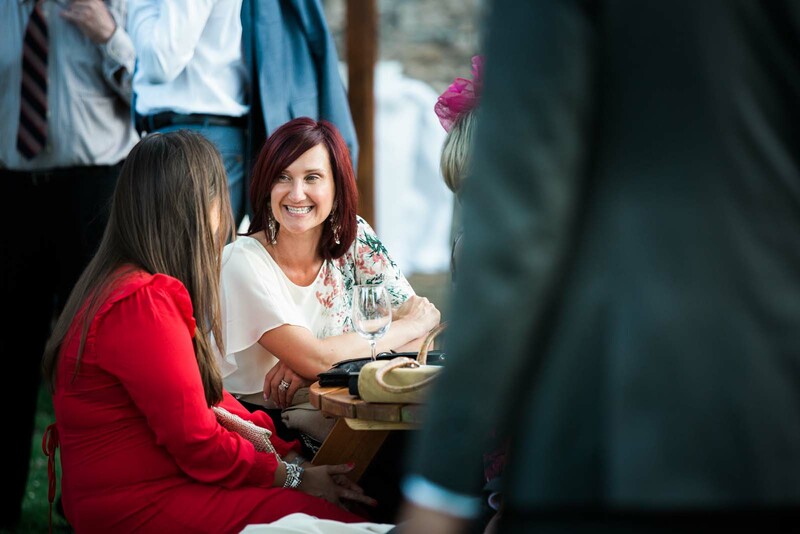 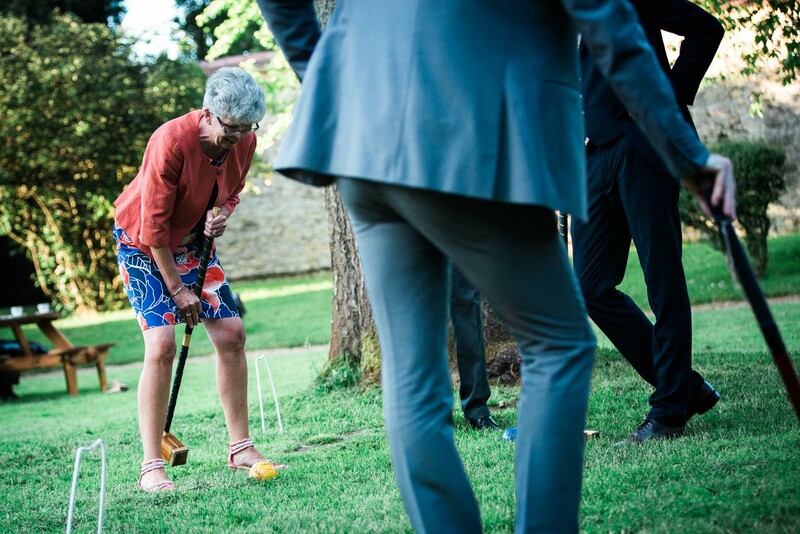 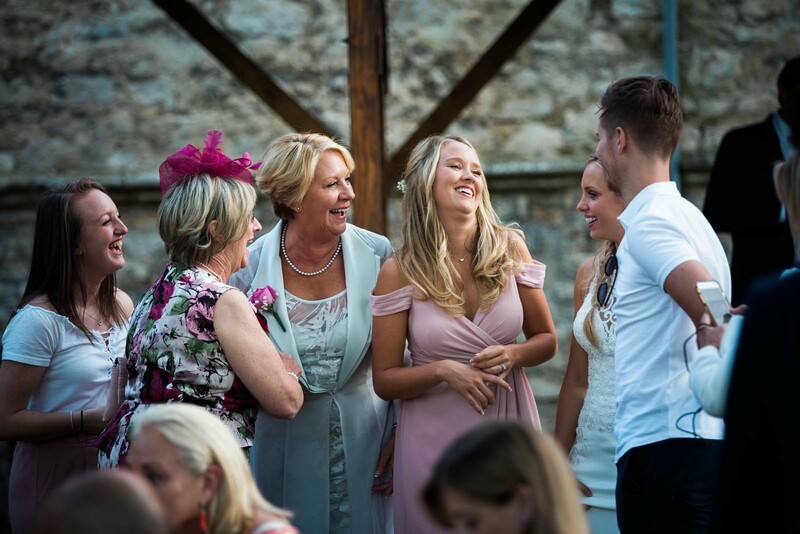 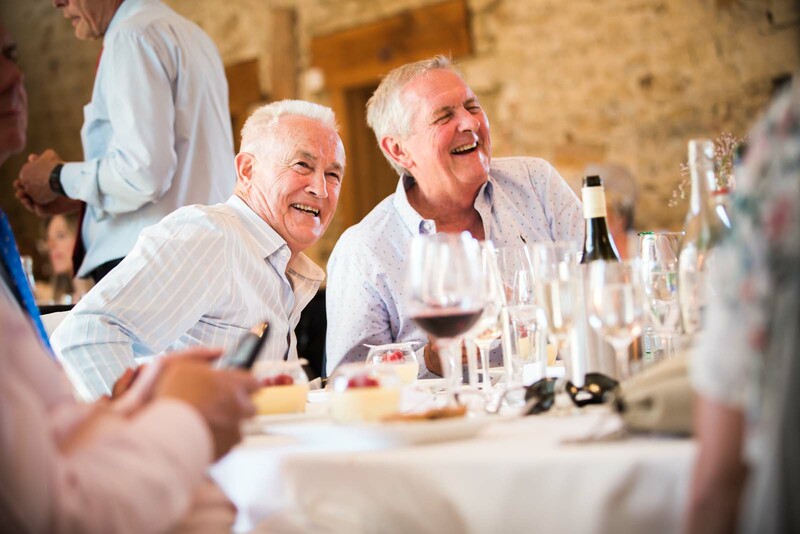 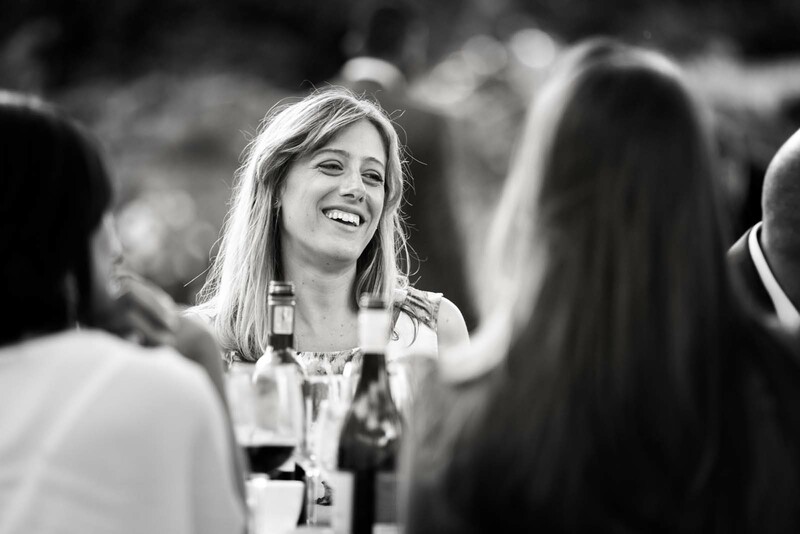 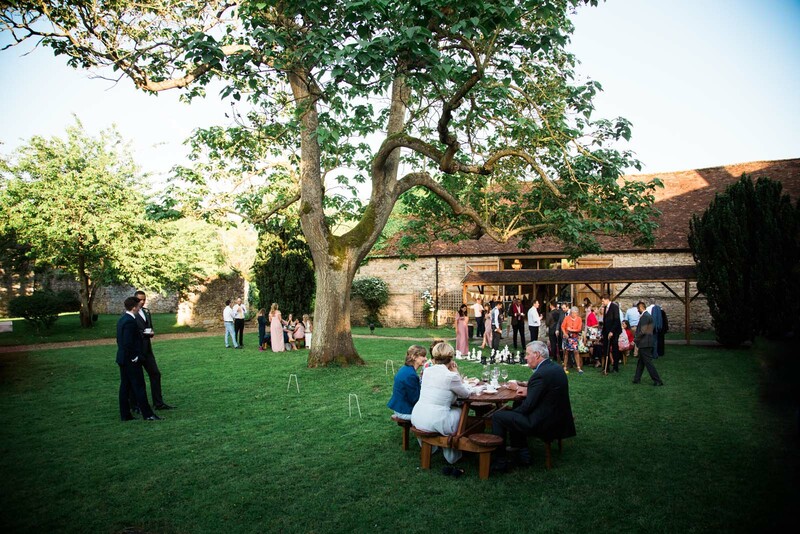 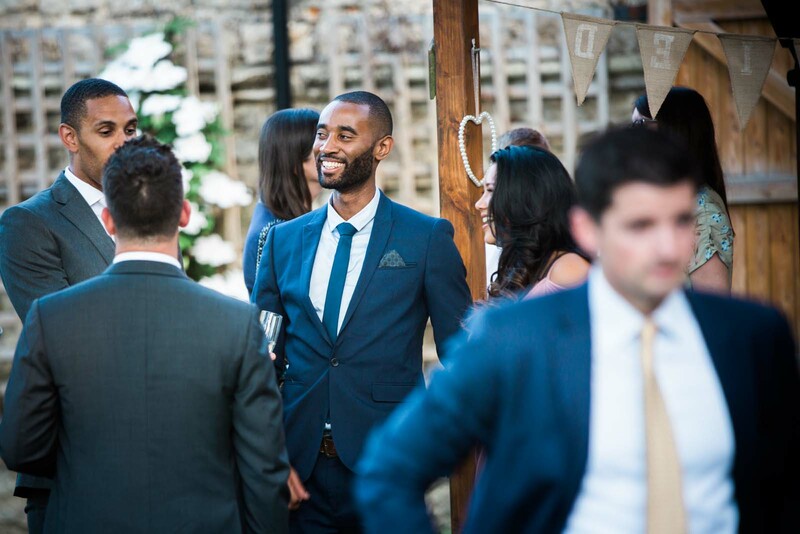 The courtyard offered a relaxed space for guests to enjoy tea and coffee alfresco after the wedding meal and partake in garden games such as croquet and giant chess. 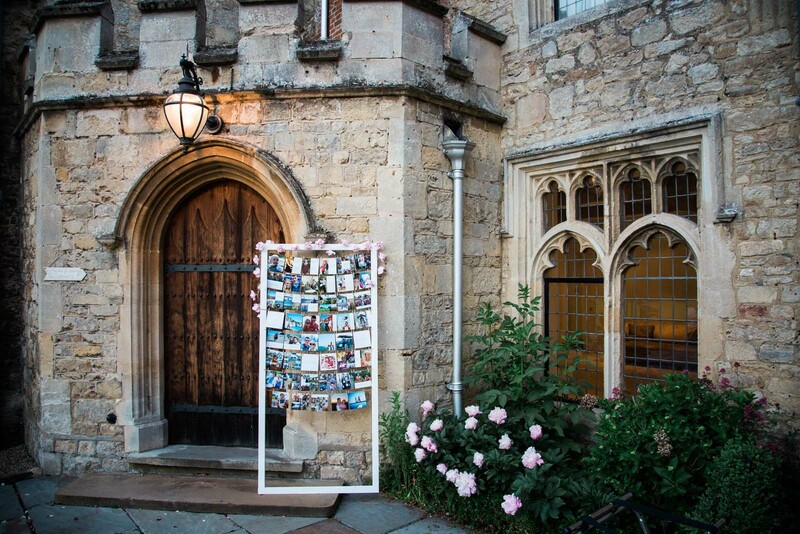 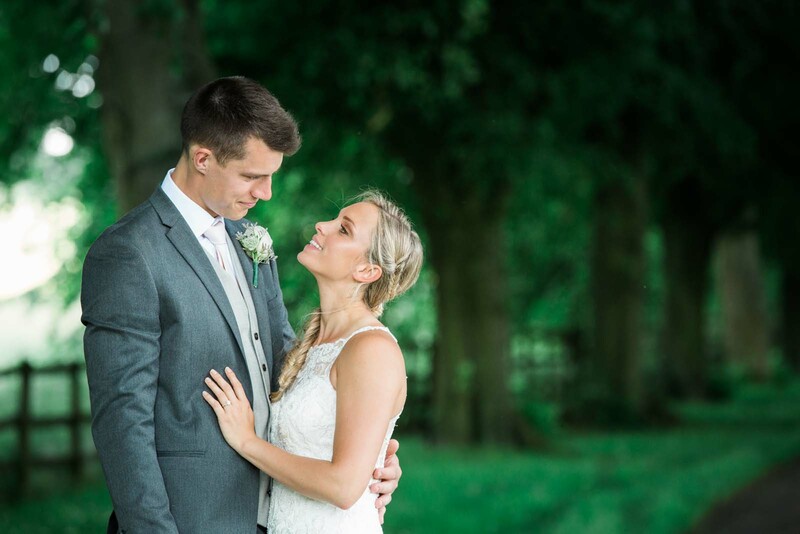 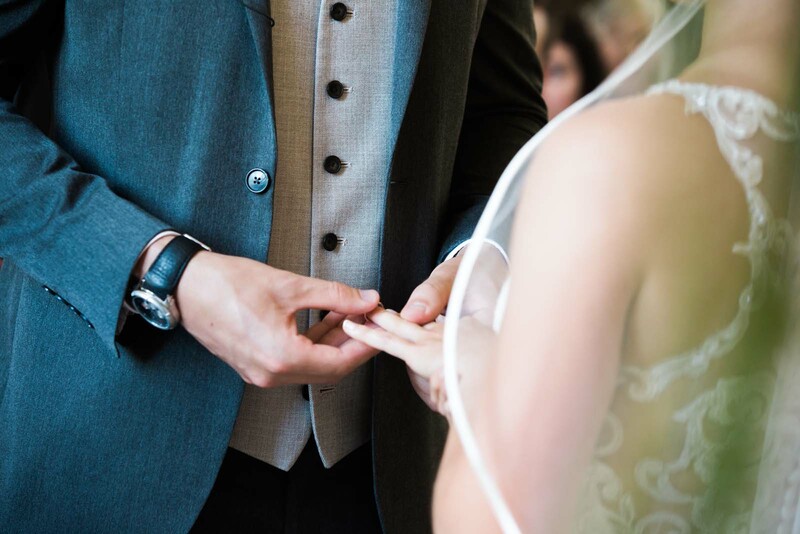 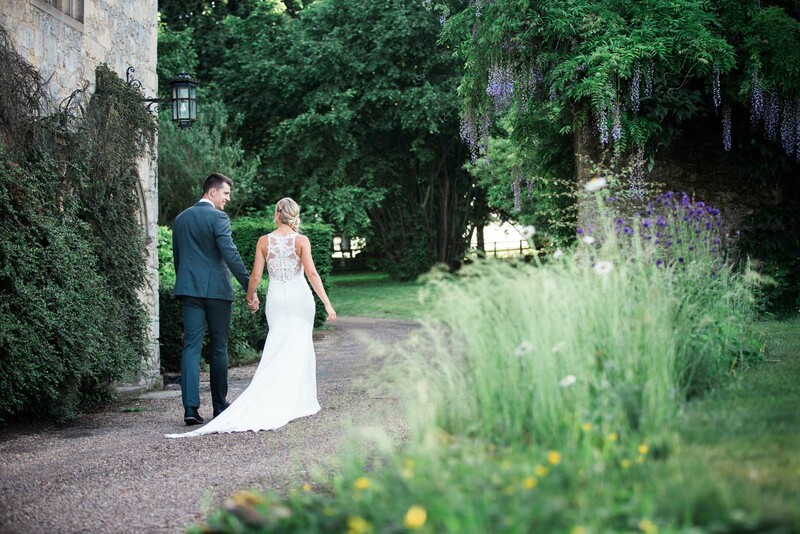 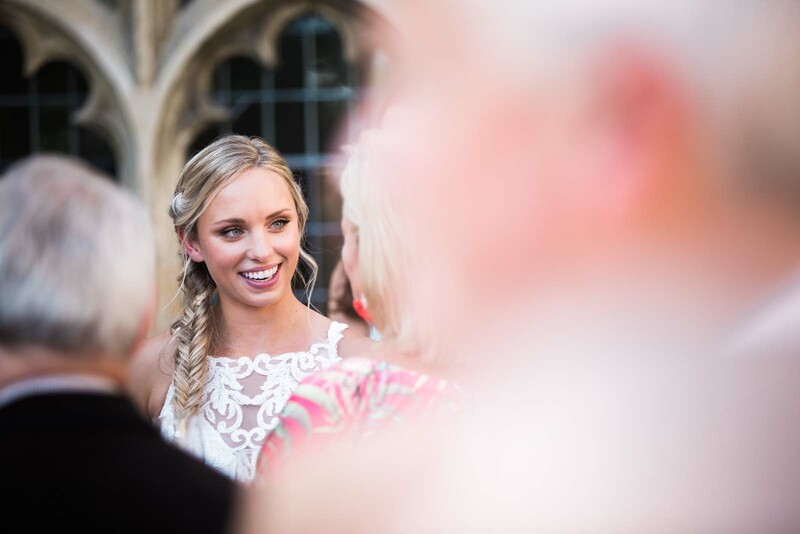 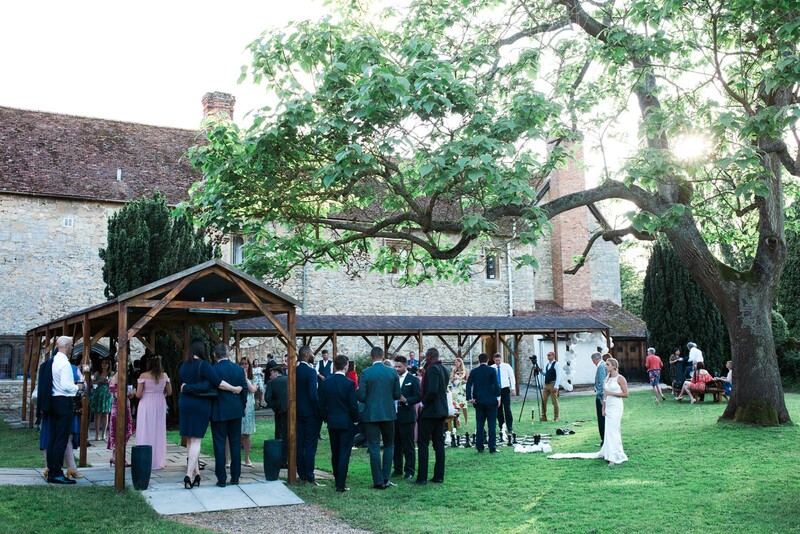 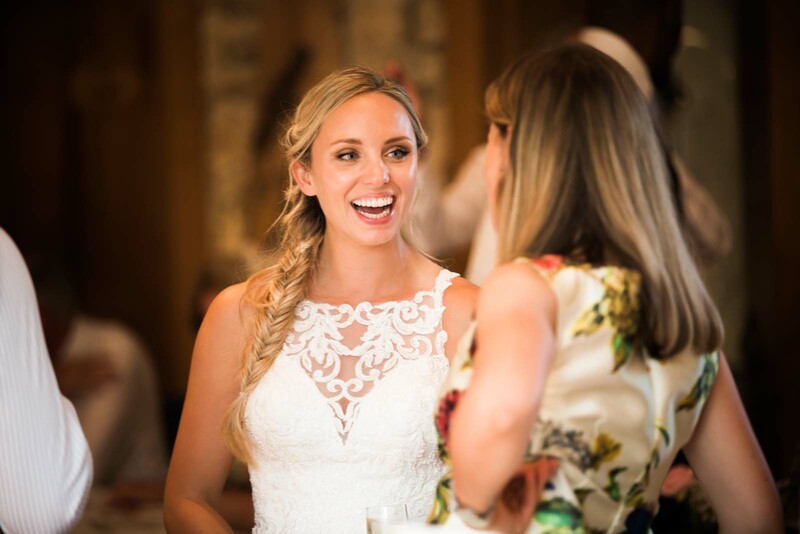 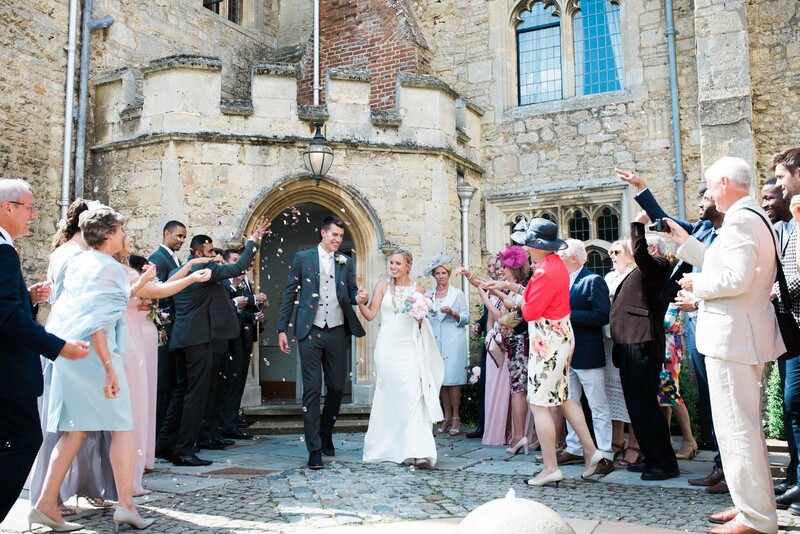 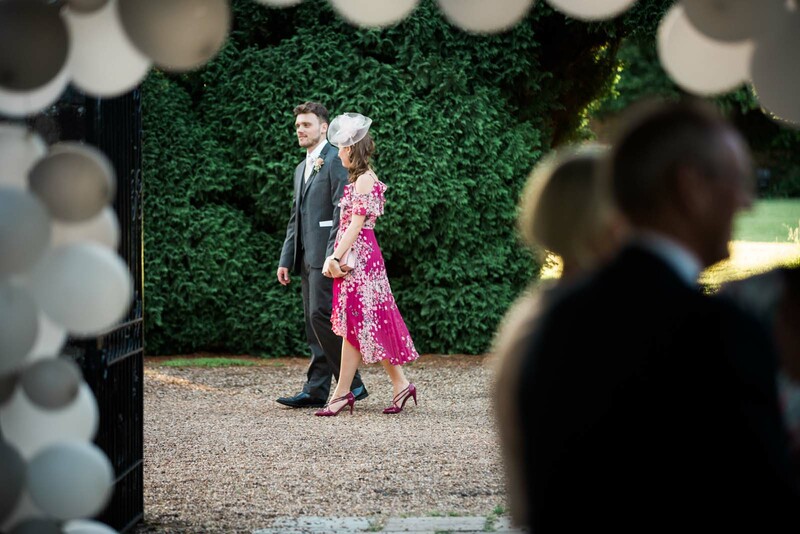 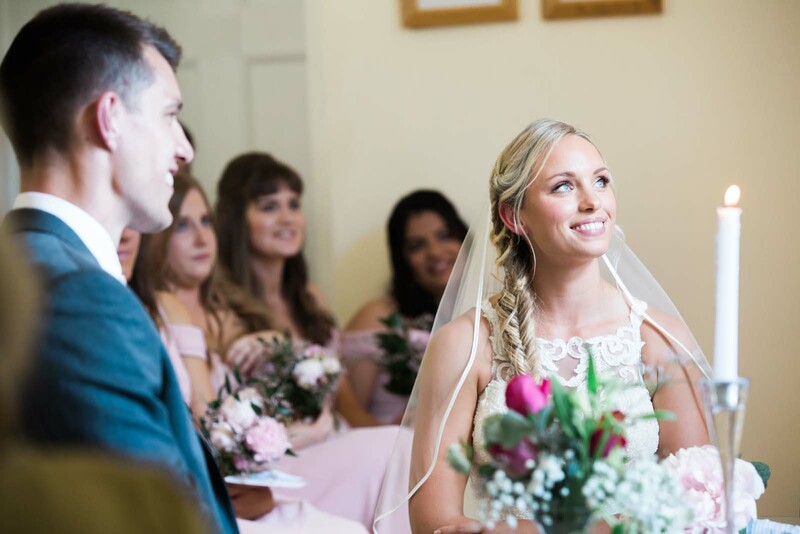 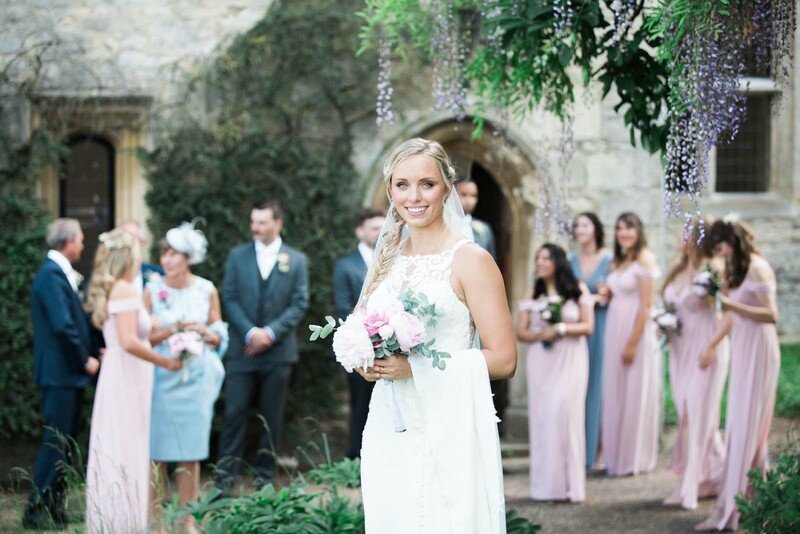 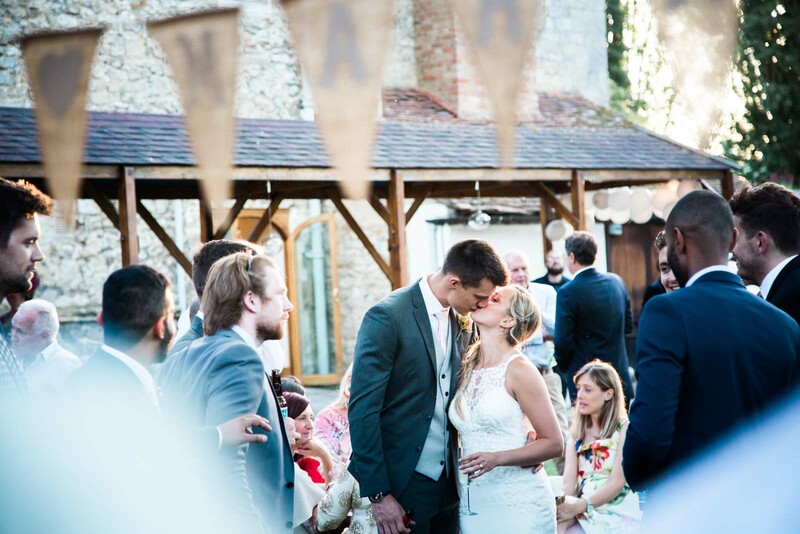 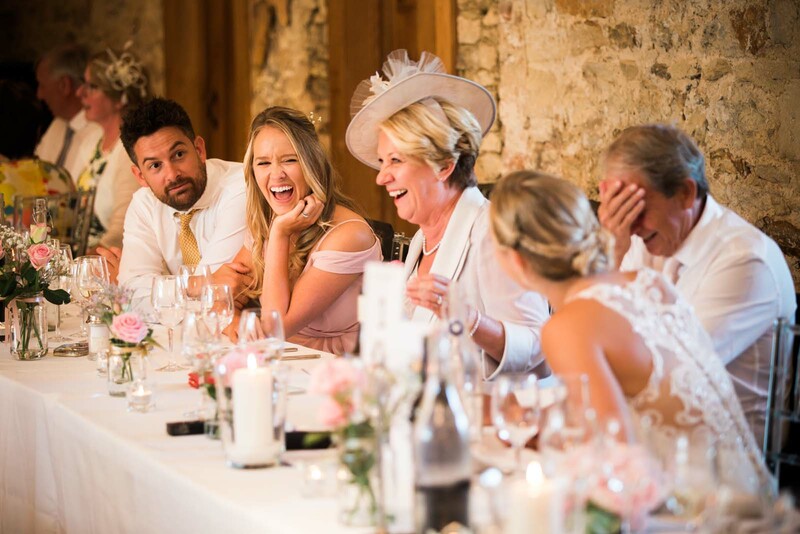 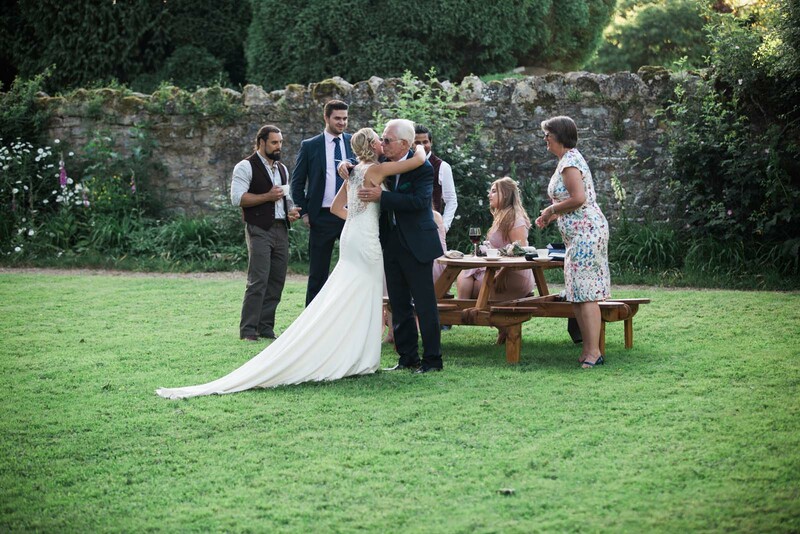 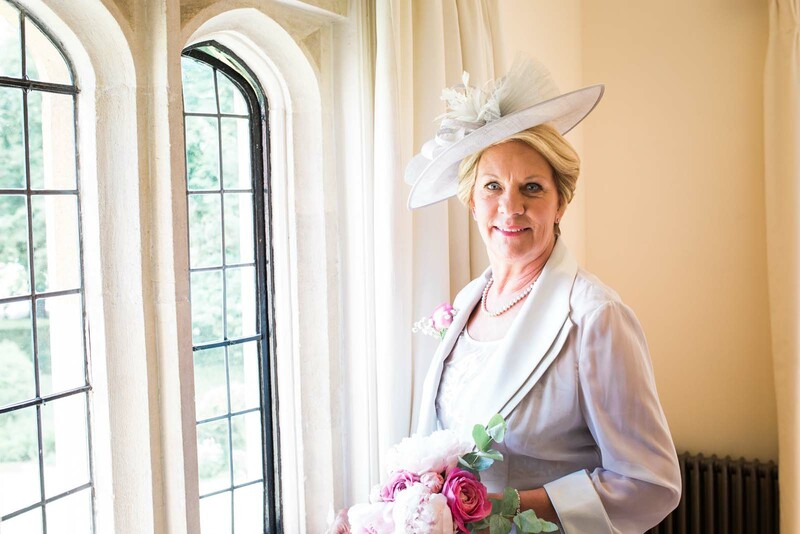 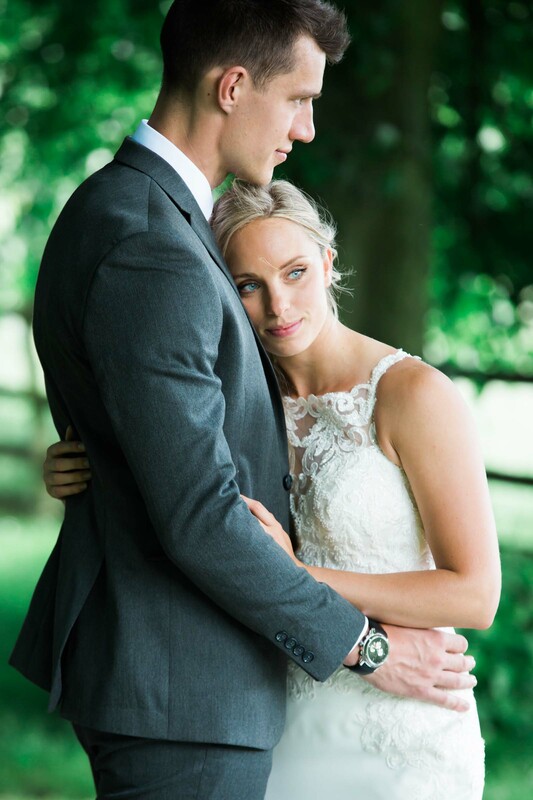 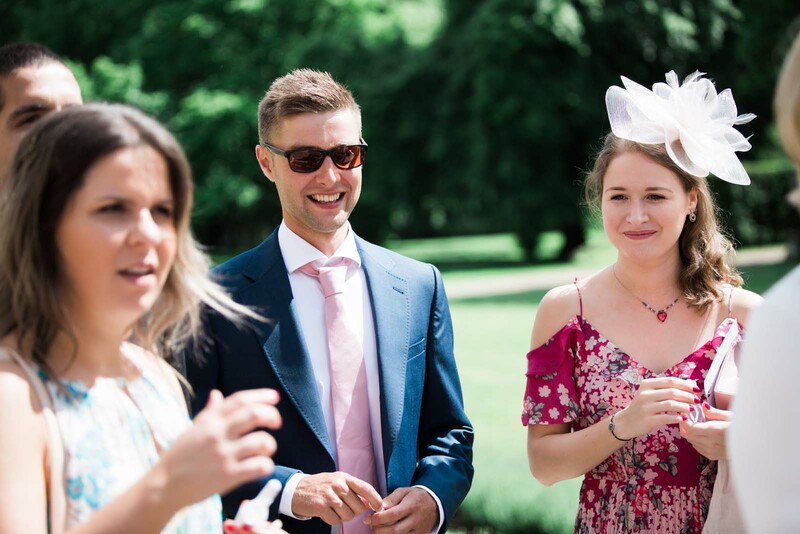 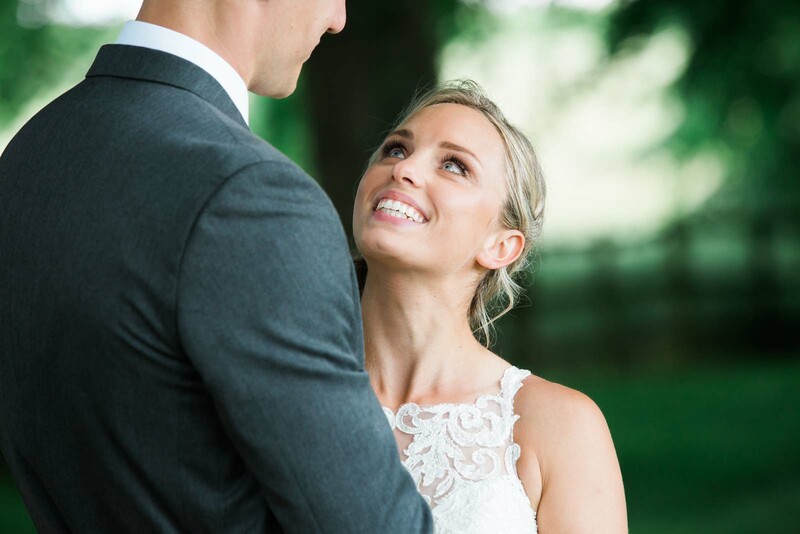 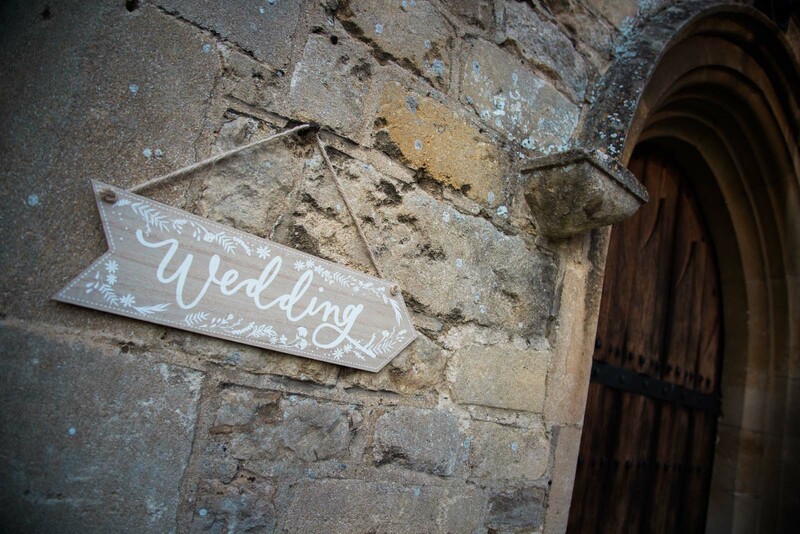 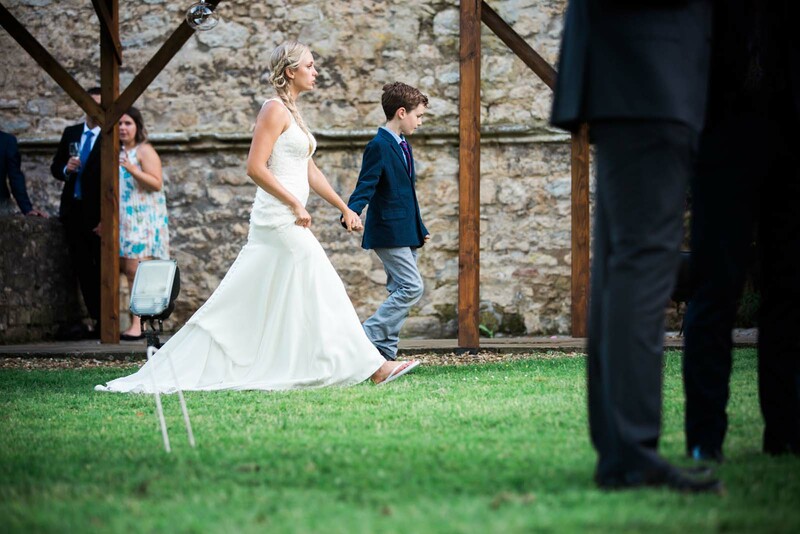 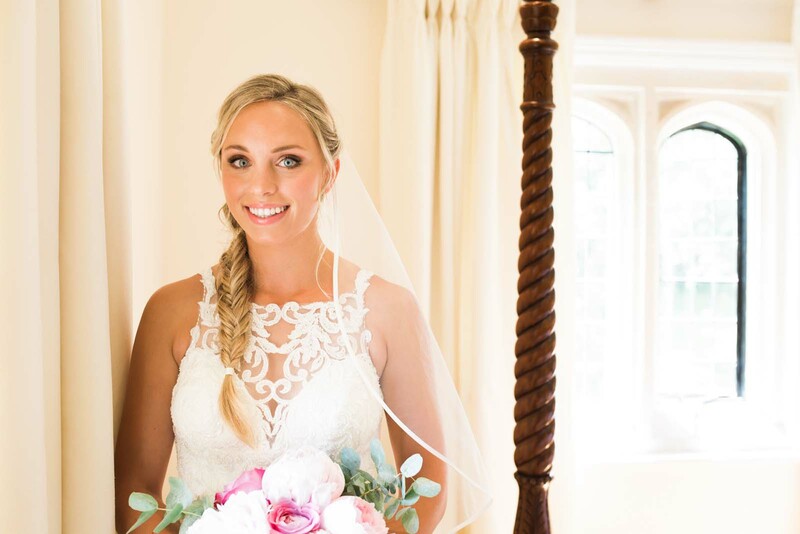 It was a quintessential English wedding on a beautiful summer’s day, set in a wonderful setting with endless historic references and medieval design. 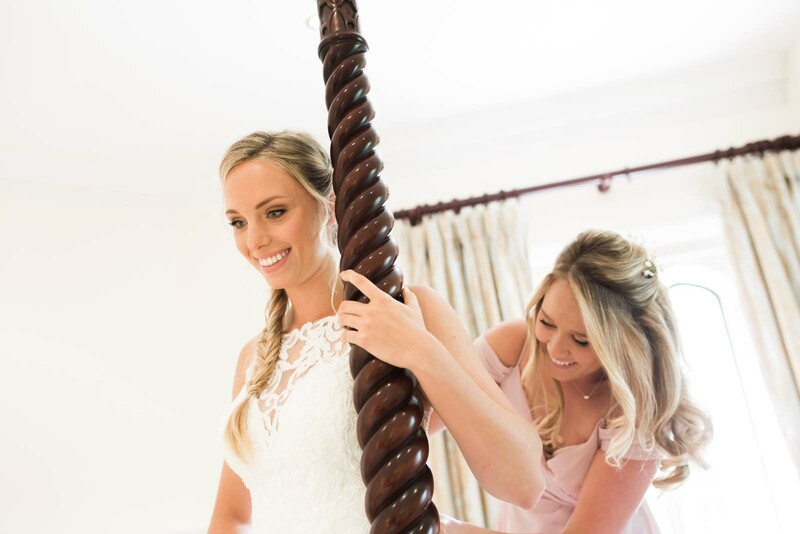 A perfect experience for all the guests who traveled all the way from South Africa to help the happy couple celebrate their wedding. 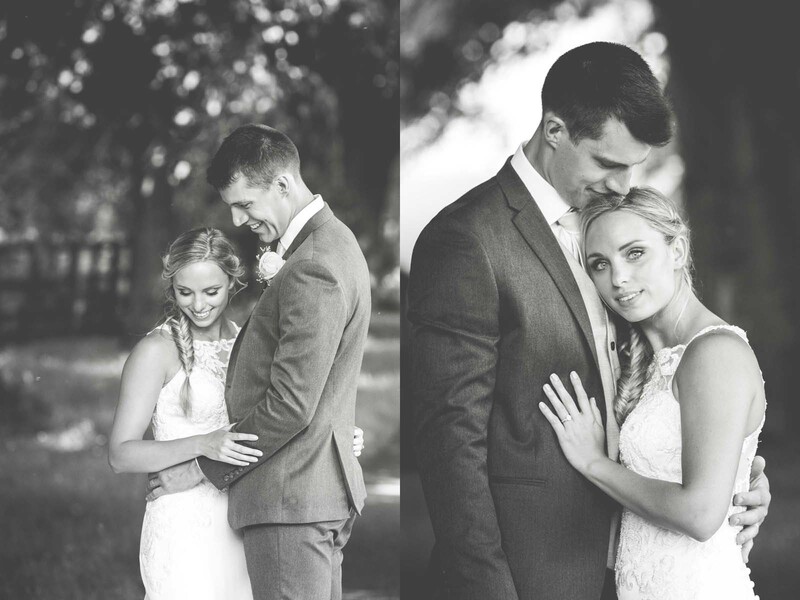 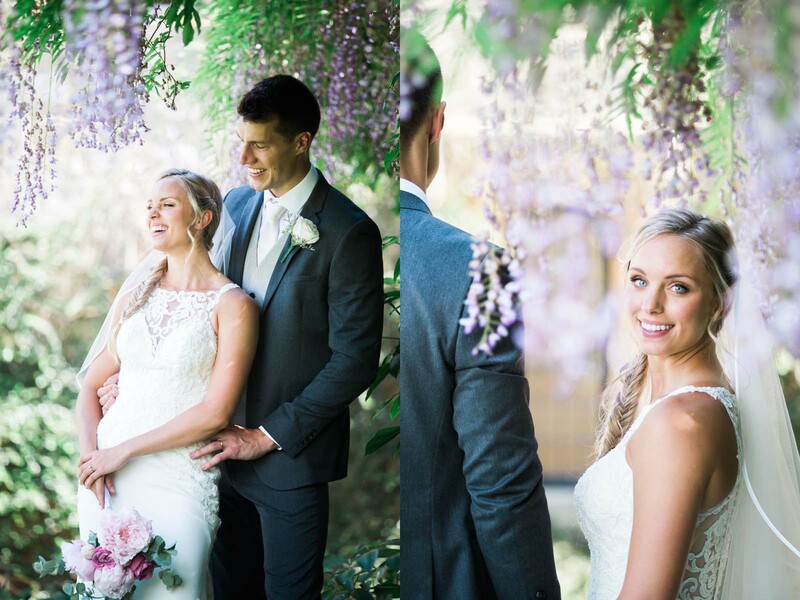 Thank you Lara and Jeff for asking me to capture your very special day. 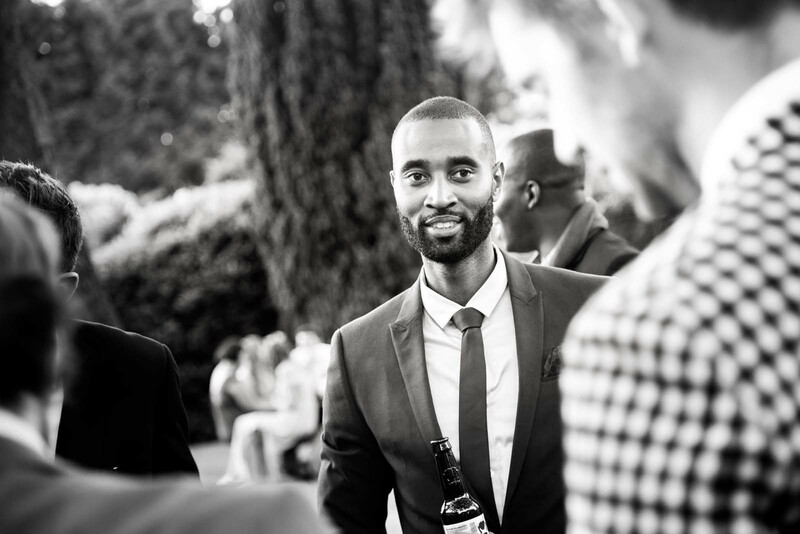 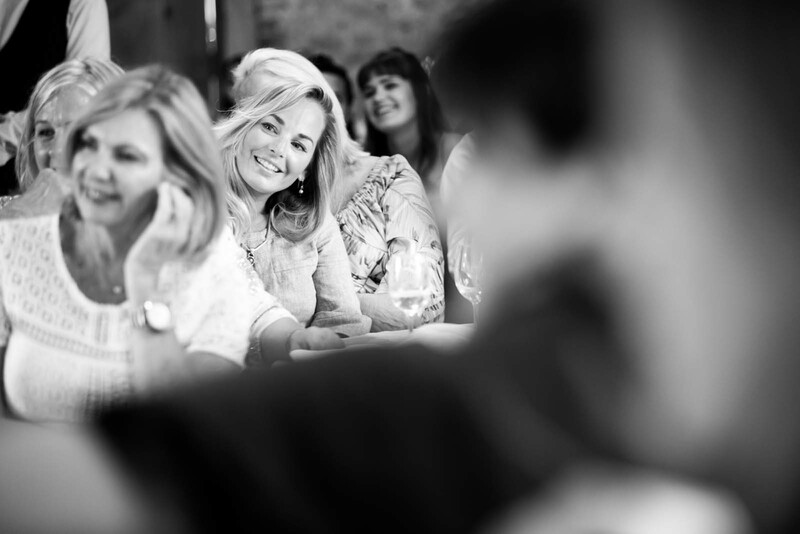 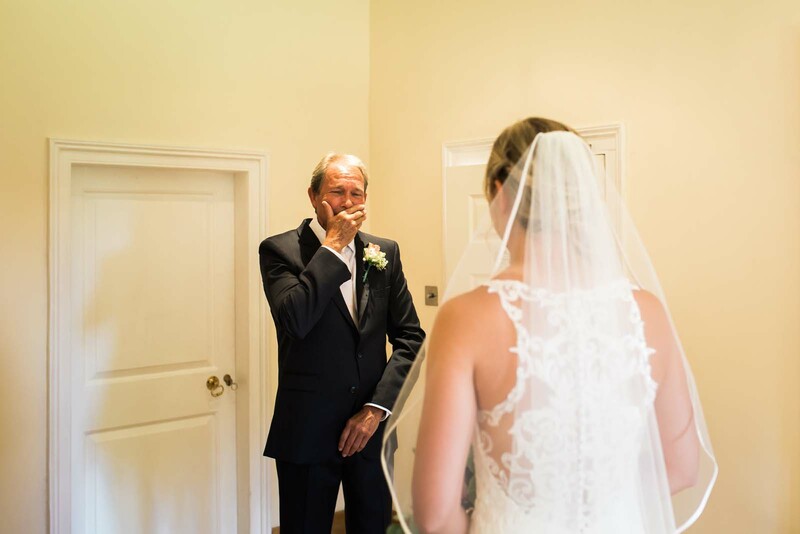 I truly enjoyed being there to capture all the special moments. 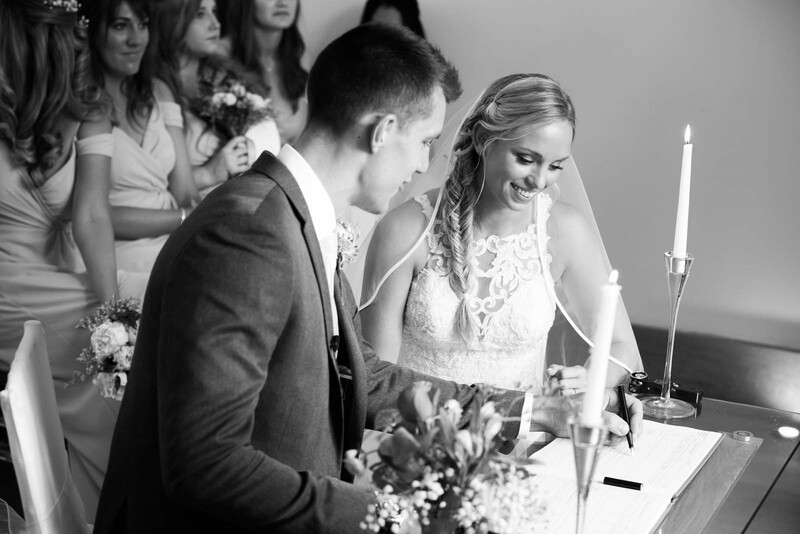 Congratulations and best wishes for a long and happy future. 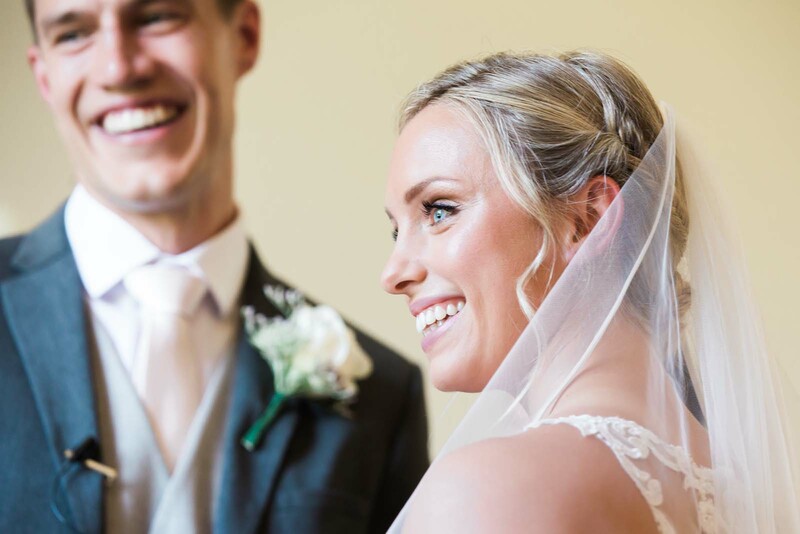 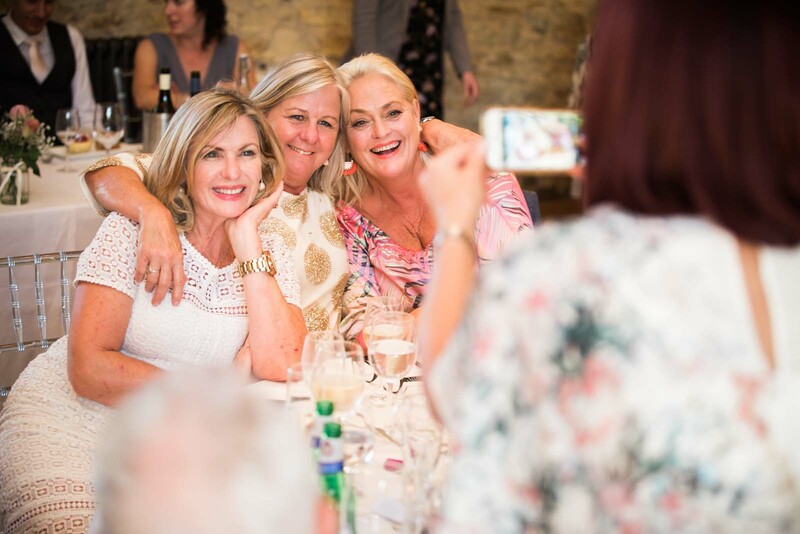 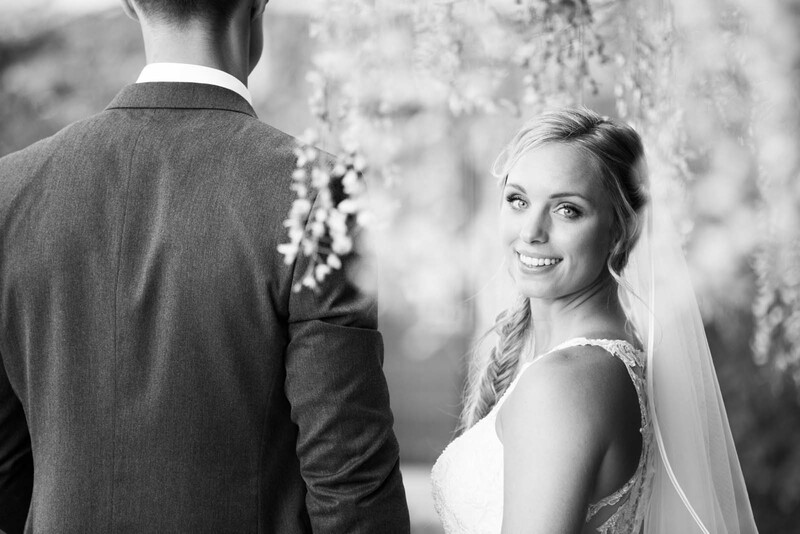 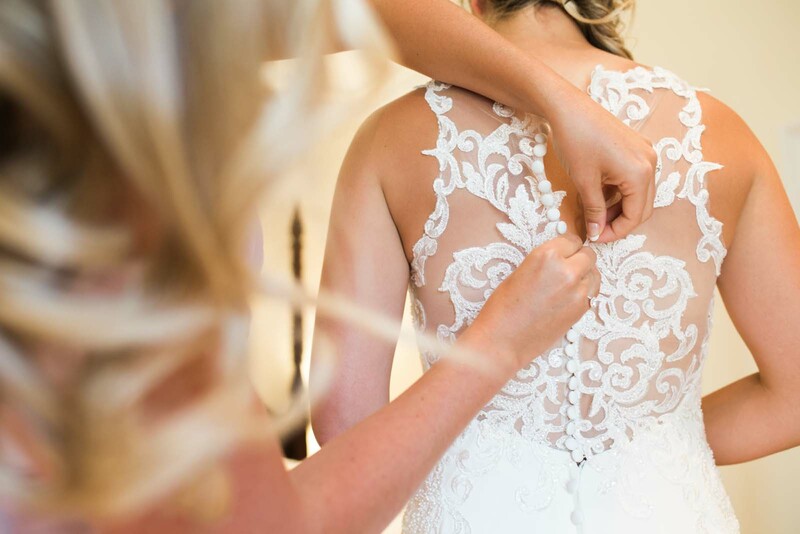 Here are my five top picks taken from the photo collection of Jeff & Lara’s wedding, but scroll down to see the full collection of highlights of their special day. 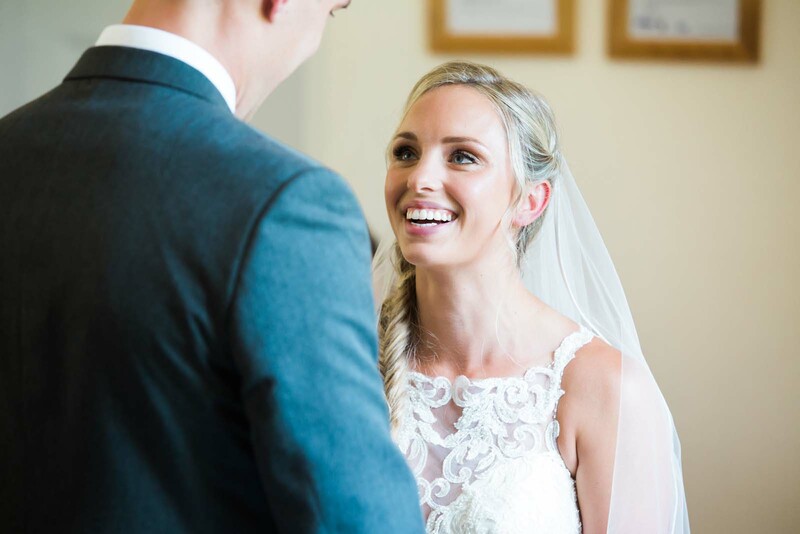 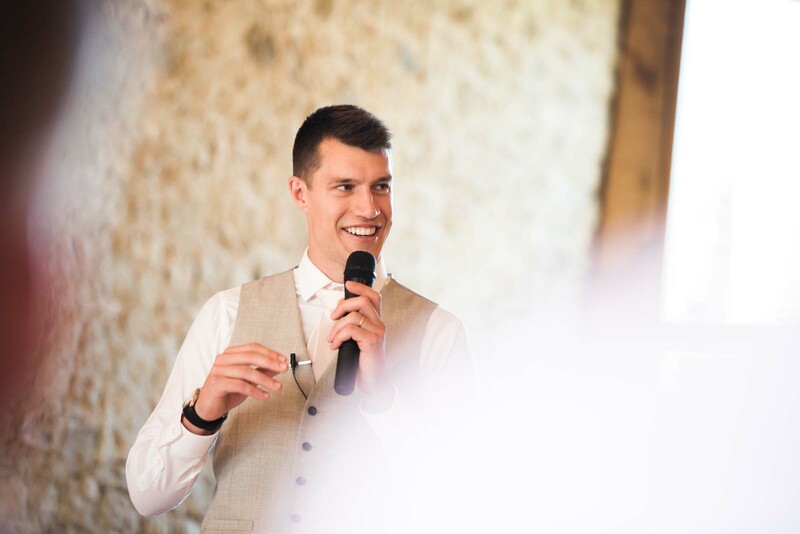 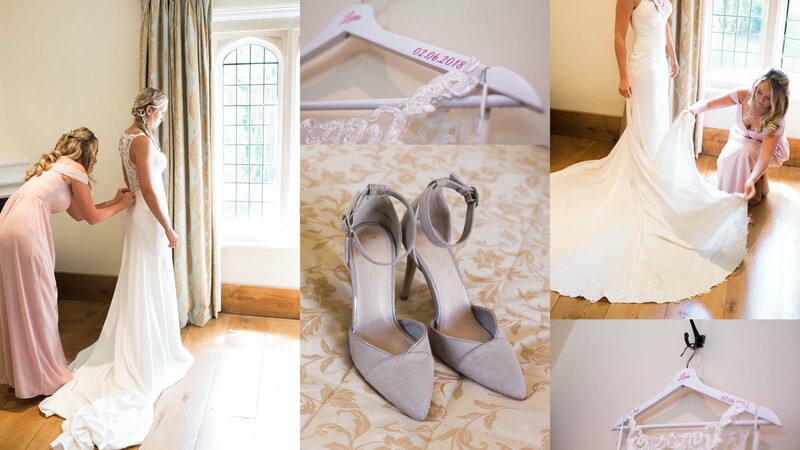 Here are the highlights of the day, telling the story of their romantic wedding at Notley Abbey in Buckinghamshire from start to finish.